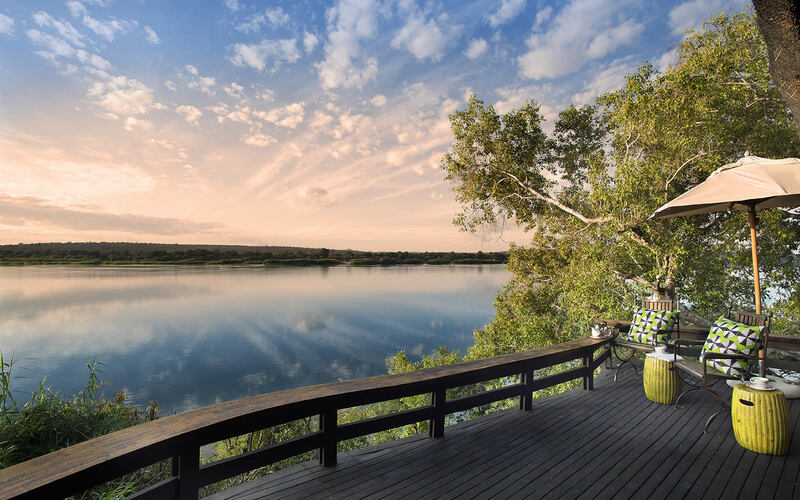 Surrounded by the Grumeti River and the riverine woodland is this month’s property of the month – Singita Faru Faru. 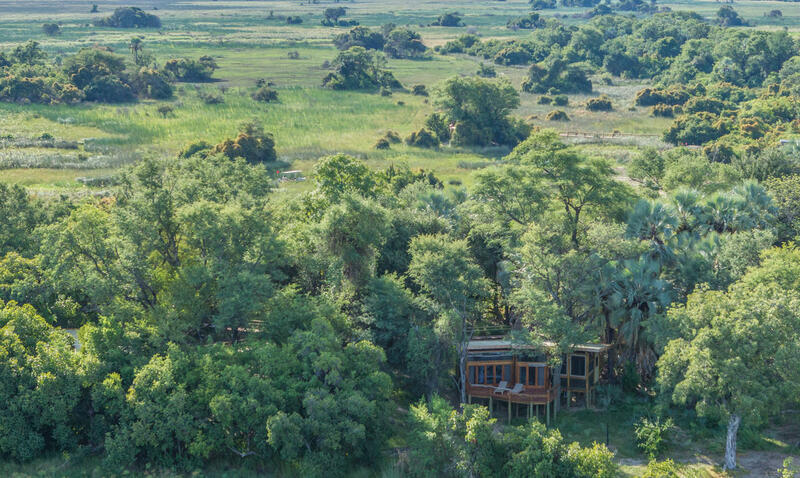 One of Africa’s ultimate classic safari lodges, this seamlessly elegant and modern accommodation is set in one of the world’s most exquisite locations, offering guests access to prime game-viewing and some of Tanzania’s finest hospitality. 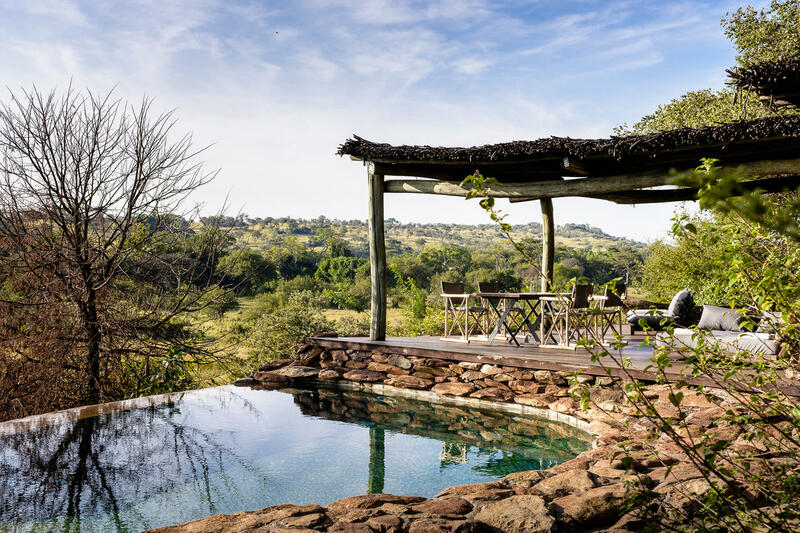 Faru Faru lodge is the pinnacle of luxurious safari, ensuring that you spend your time in East Africa living on your very own piece of paradise. 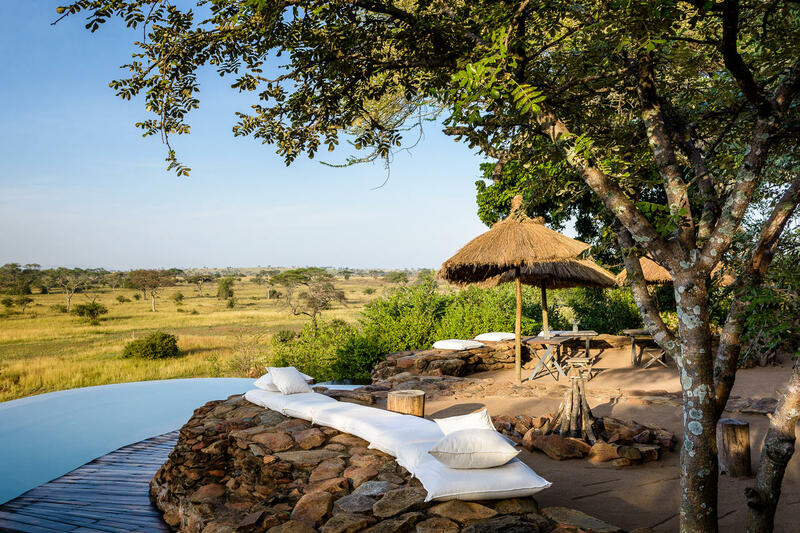 Suitably located in the Grumeti Reserve inside the Serengeti – you can only vacation in this area with Singita. This means that you are guaranteed a private and exclusive experience, far removed from the crowds you’ll find in other parts of the area. 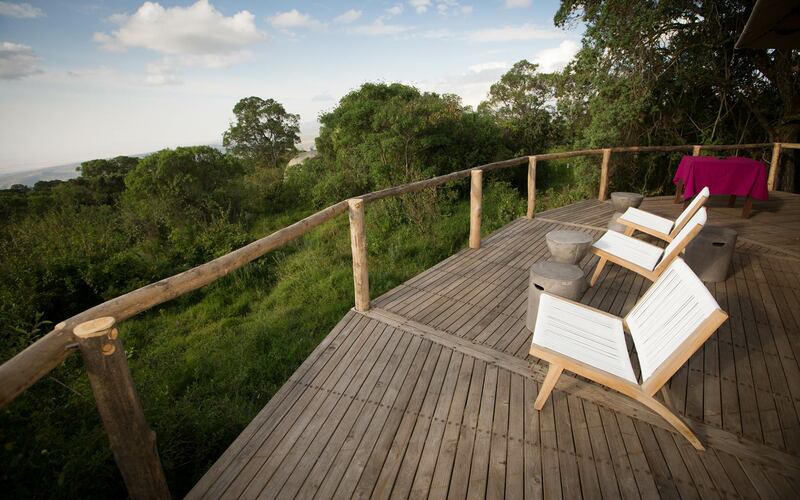 Here you are promised access to some of the best wildlife viewing in the country while indulging at a luxury stay. 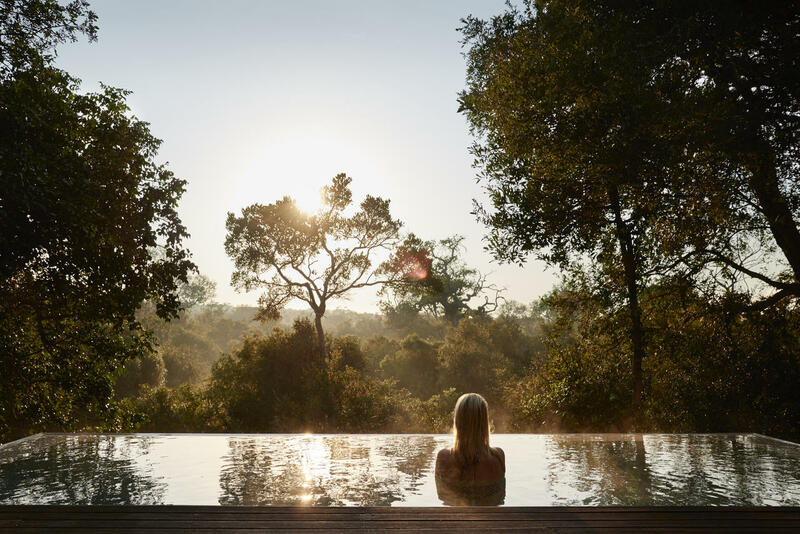 Boasting its own beach and natural waterhole, Singita Faru Faru makes sure that you never have to leave the lodge to experience romance, relaxation or adventure. The safari comes to you every day. 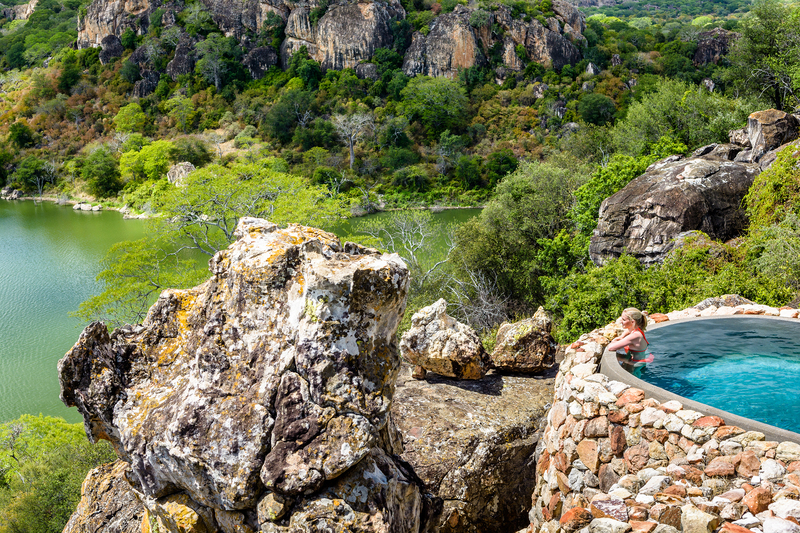 And if you’re looking for something to do in-between game drives, Faru Faru lodge has an endless list of activities for you to try. From archery and lawn croquet to dips in the rim-flow swimming pools, there is always a new experience waiting to be had. 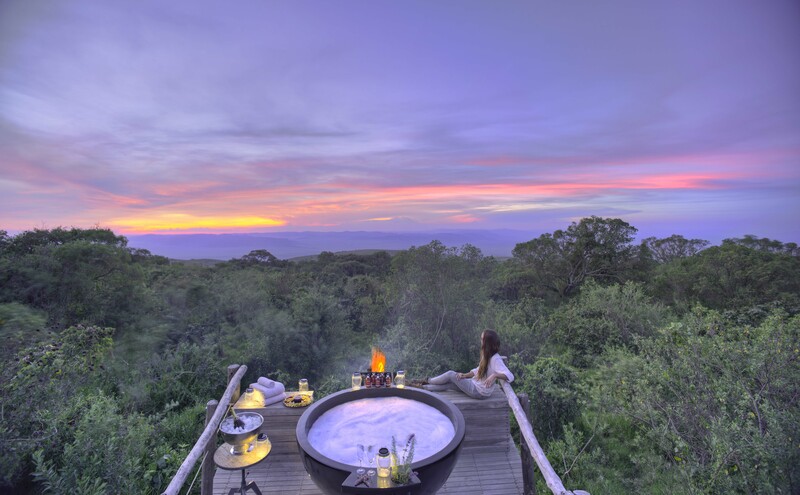 And while you are enjoying the best the Serengeti has to offer, why not take a hot-air balloon trip for an exhilarating balloon safari or wind down after a thrilling game drive at the spa. And in-case you thought game vehicles and hot-air balloons are the only way to see East Africa’smagnificent wildlife, try a horse-back safari or an adventurous night drive. 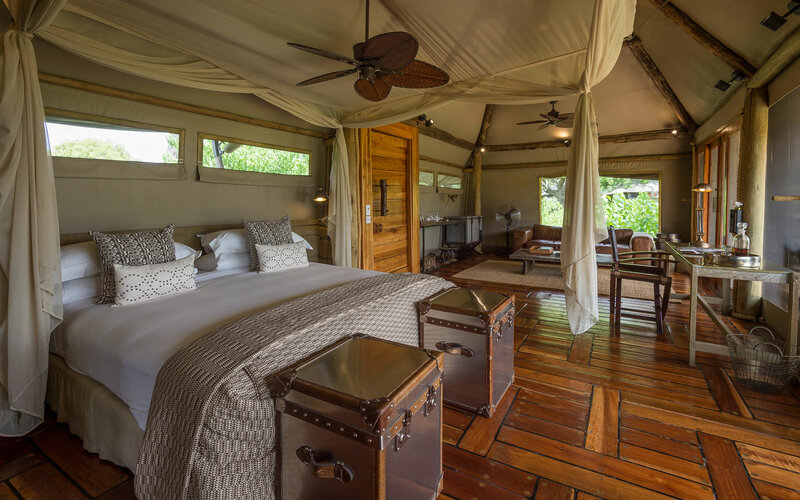 The location of this property is remarkable and the wildlife and activities are definitely alluring, but the main attraction is the lodge’s classic East African style architecture and décor. While the design creates an ambiance of authenticity, guests are offered all the luxurious comforts one could wish for. 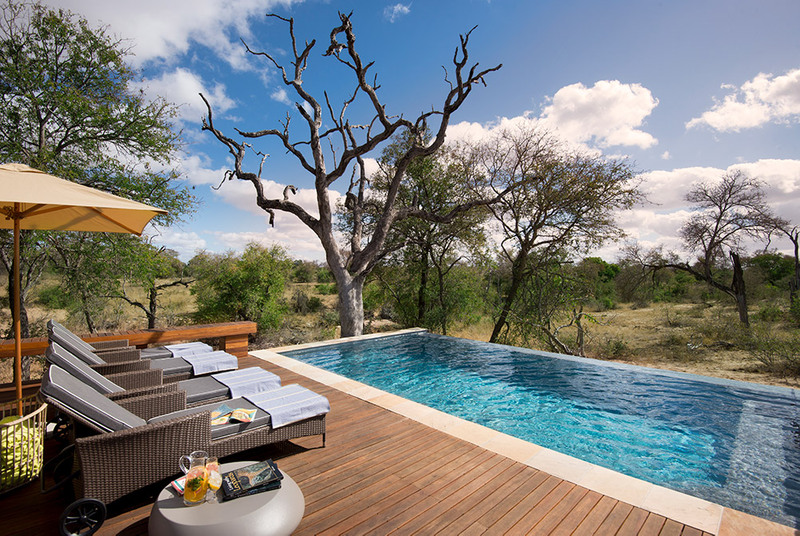 The construction focuses on the waterhole, with the planning making a bold, but magical statement. 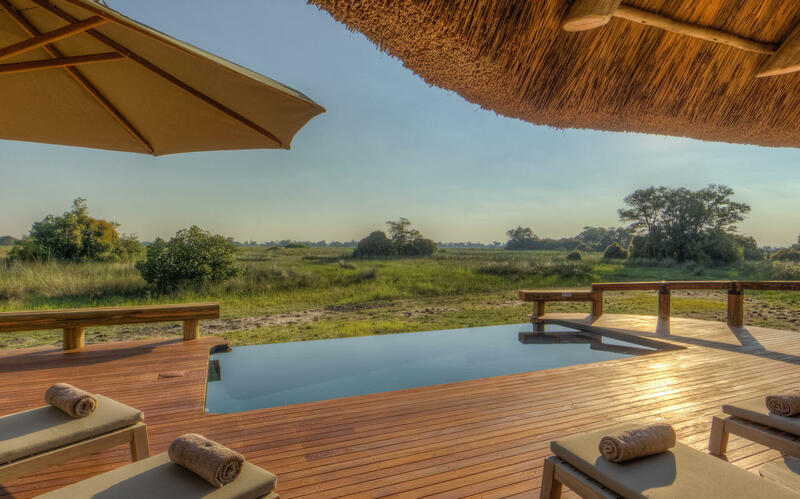 This perfectly combines the living areas with nature creating a rustic and real bush appeal with a fresh and clean-lined modernity allowing animals and nature to take centre stage. 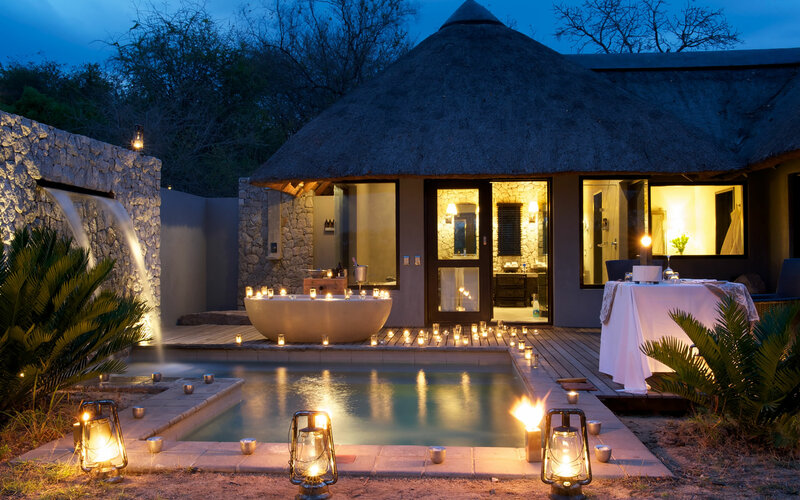 The nine stone, canvas and thatched suites have the character of a classic safari camp, yet the interiors offer the ultimate in contemporary luxury with panoramic glass windows and free-standing claw-foot baths. 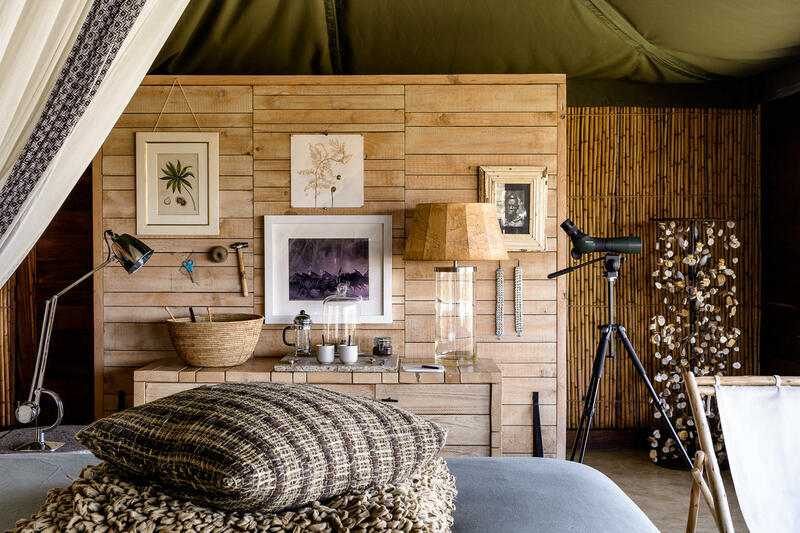 Each suite makes a statement with a botanical theme and all of them are outfitted with every conceivable comfort – including your very own Swarovski spotting scope. 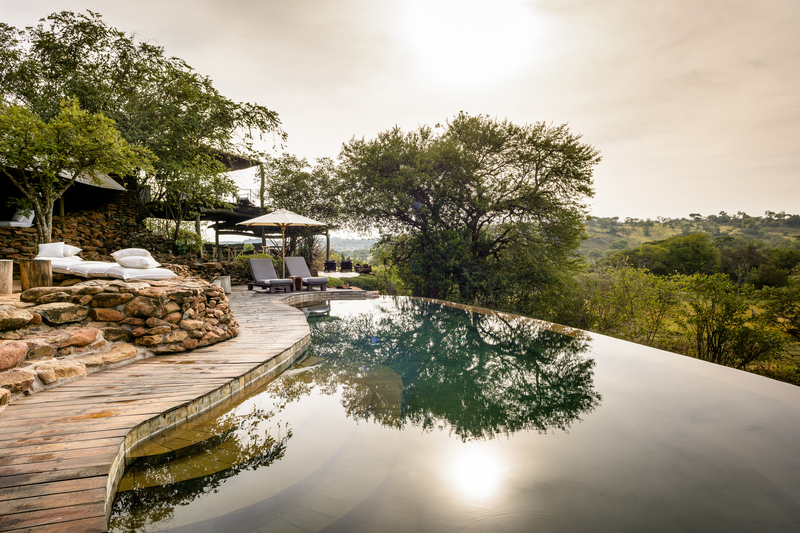 Why wait for the most magical trip to happen… Start imagining lounging in the swimming pool overlooking the surrounding area awash with wildlife; recline on the Lodge’s elevated viewing decks, or relax unwind in your room and watch as predators and prey are drawn right up to the lodge. 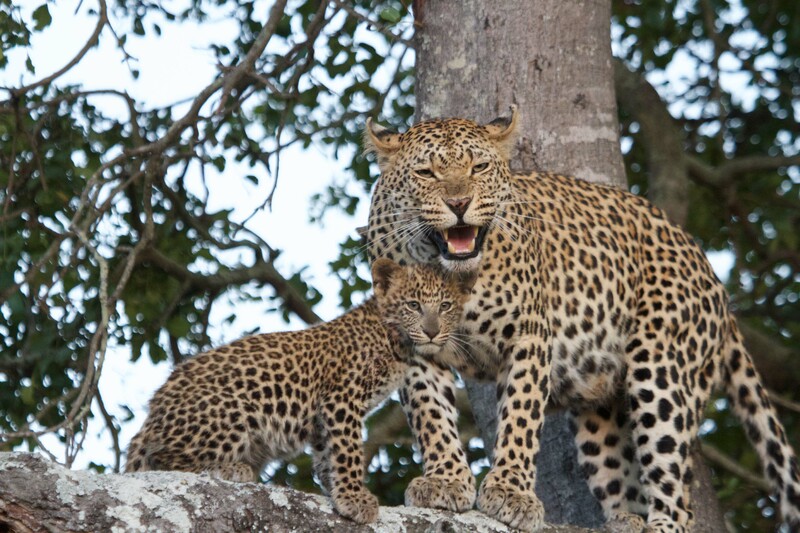 A private guided safari is without a doubt the best way to experience Africa’s bush and wildlife. 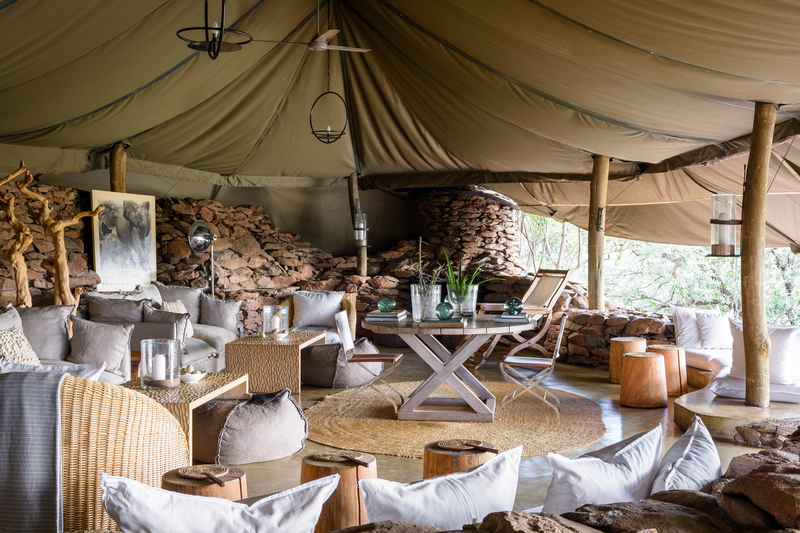 Guests can enjoy a holistic experience with our lodges and camps’ excellent teams of specialist guides who will assist you with not only planning your dream game drives but also guiding you throughout the journey to ensure that your wildlife experience is everything you ever dreamed of! 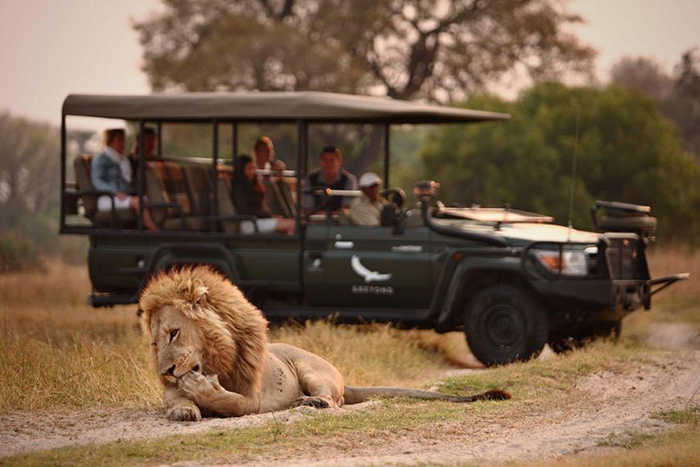 Most camps and lodges organise game drives with between 4 and 6 guests to a vehicle. 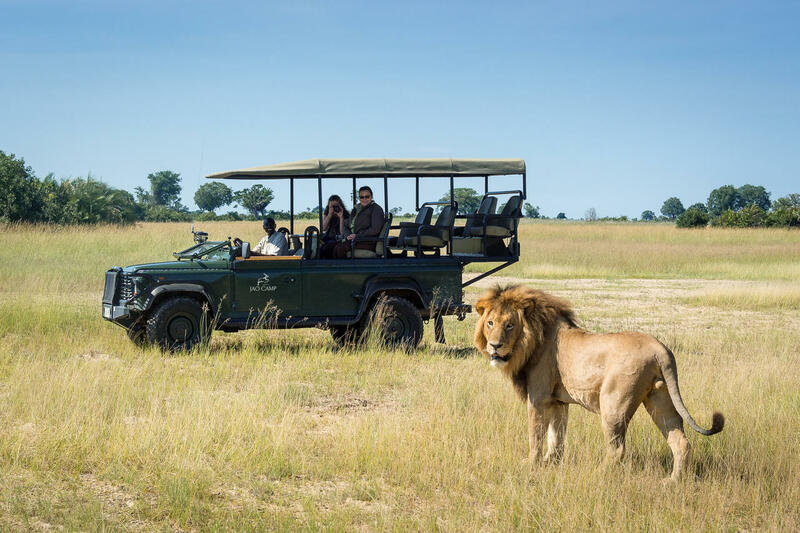 While sharing your experiences with other guests is a great way to meet fellow travellers and often great fun, it is also possible to request the ‘exclusive-use’ of a vehicle and a private guide for all or part of your stay. 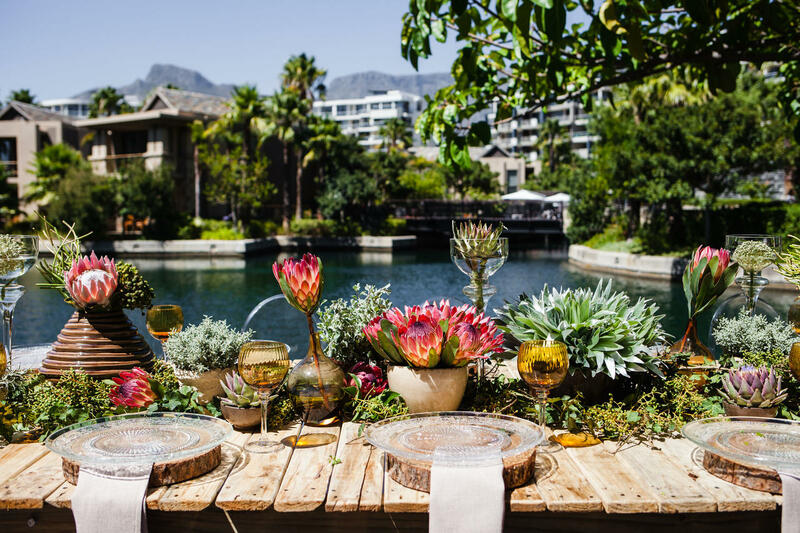 This can be very appealing to guests who have very specific interests or simply wish to prioritise the flexibility and exclusivity of their day. All of our destinations offer the finest qualified and experienced private guides in the industry, adding immeasurable value to your safari. 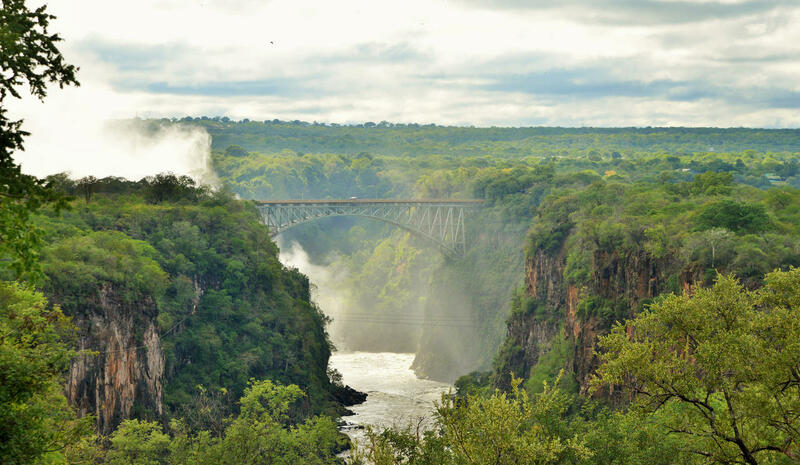 Most countries in Africa have a formal qualification requirement which is extremely rigorous, and ensures top quality guiding. 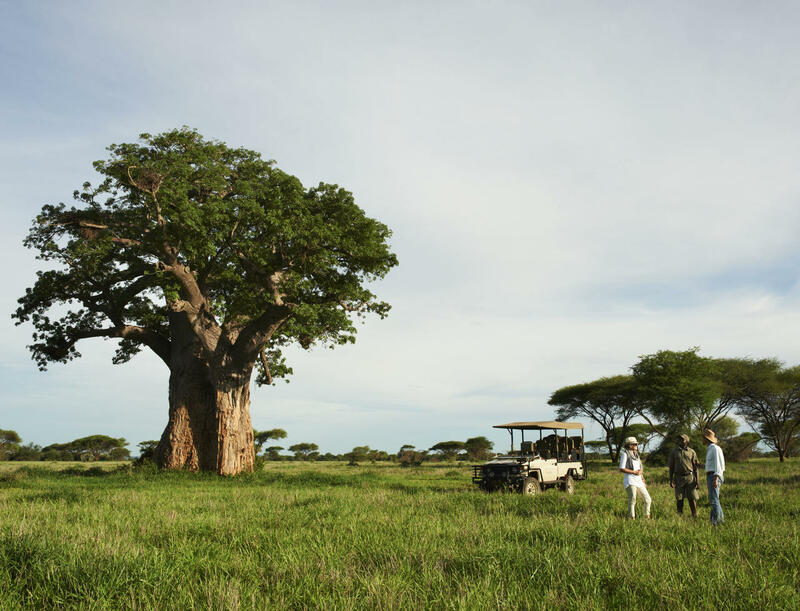 From the moment you arrive, your private guide will be there to make sure you don’t have to worry about anything other than enjoying your time in Africa’s great outdoors. 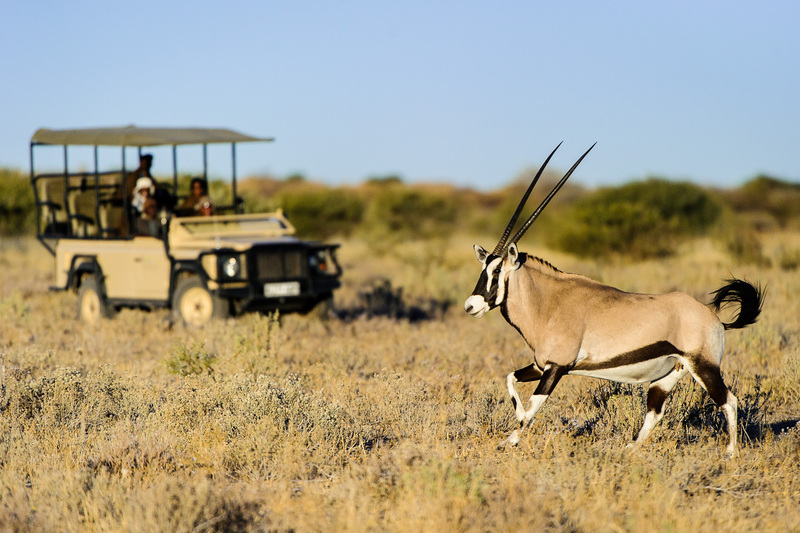 You can customise your game drives to specific areas you wish to visit and your guide will help you to maximise the sighting and photographic possibilities. You’ll build up a wonderful relationship with your private guide, as they share the incredible knowledge, stories and experiences with you. 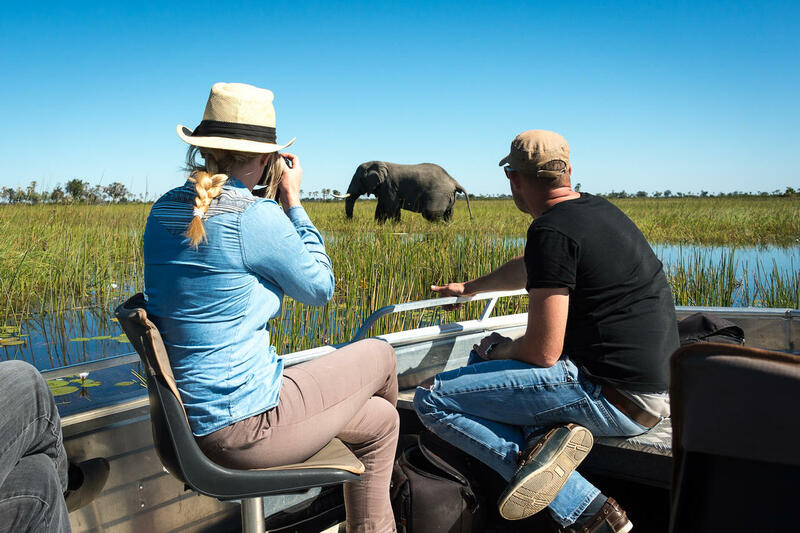 Your private guide will become familiar with your interests, what you’ve already seen and what you want to see, maximising your time in the bush. 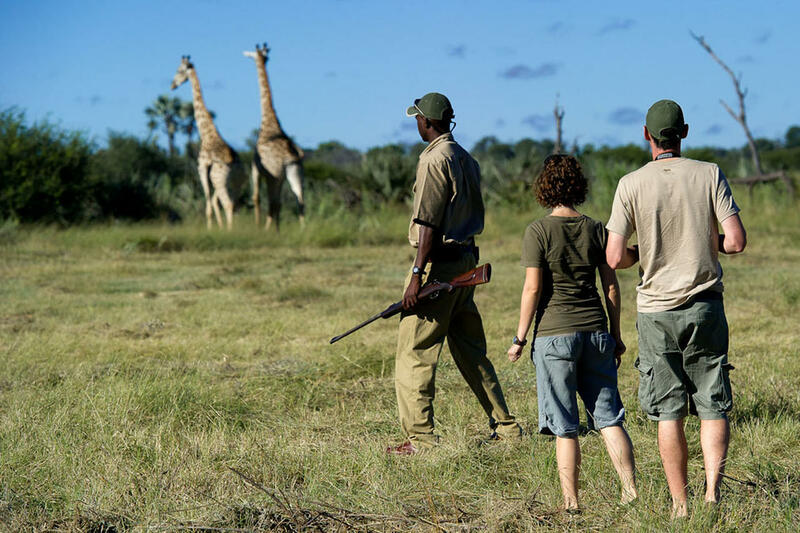 On a private guided safari, you won’t have to share your guide’s knowledge and passion – special attributes that add a unique touch to your experience. This one-on-one time accompanied by your guide’s deep understanding will open your eyes to a world you never knew existed. 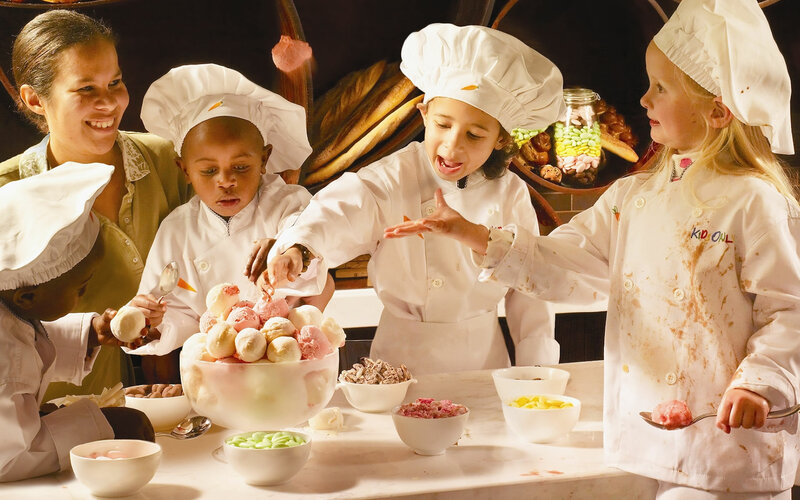 You will learn more than on any other type of holiday – that’s for sure! Your private guide is also available to you throughout the day for any questions or to help with editing the day’s photographs. Whatever your level of photography is, you can be assured of leaving your safari with new skills, techniques and inspiration. 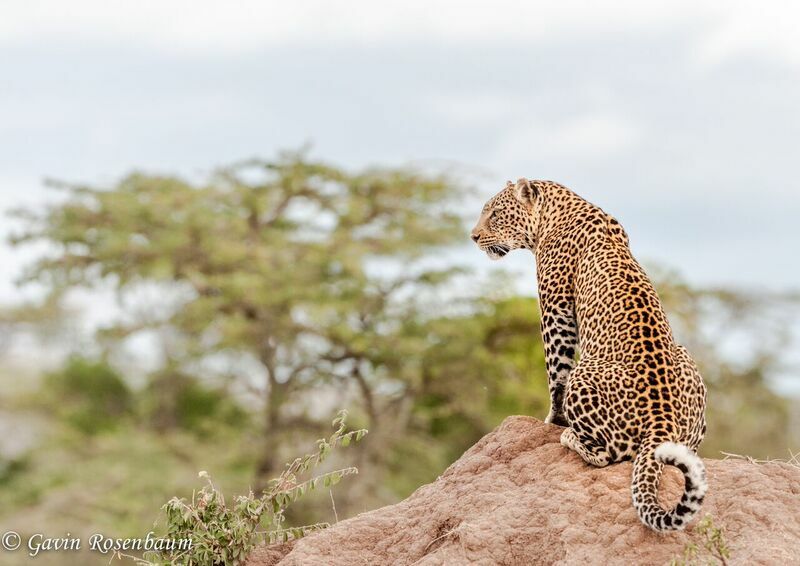 Whether your focus is on wildlife photography or an interpretive game drive, your private guide will make your days more relaxed, memorable and informative, but leave you wanting more. You will also no doubt make a life-long friend in your guide. 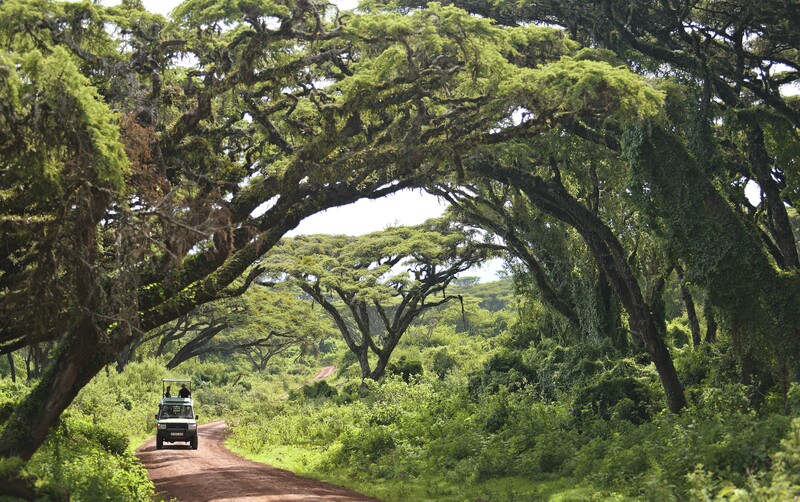 If you have ever been on safari before, you would surely have experienced the wonders of sighting all sorts of wildlife. 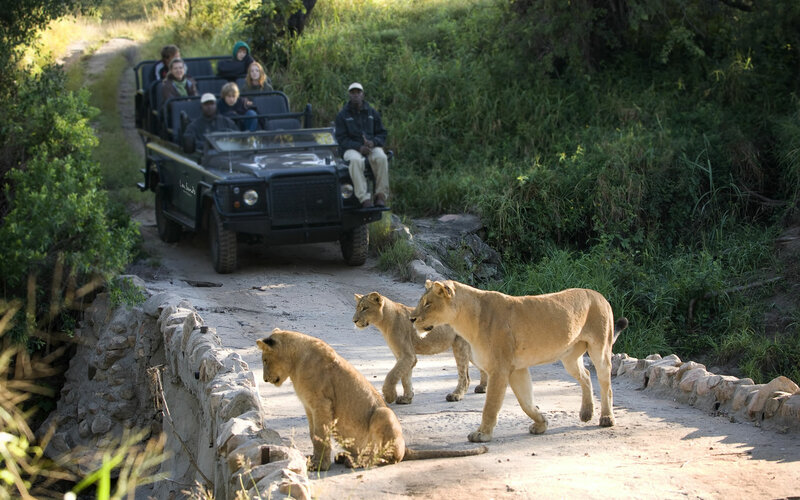 But you may not have had the chance to go on a thrilling night game drive. A night game drive is a whole experience on its own and completely different to a day safari. 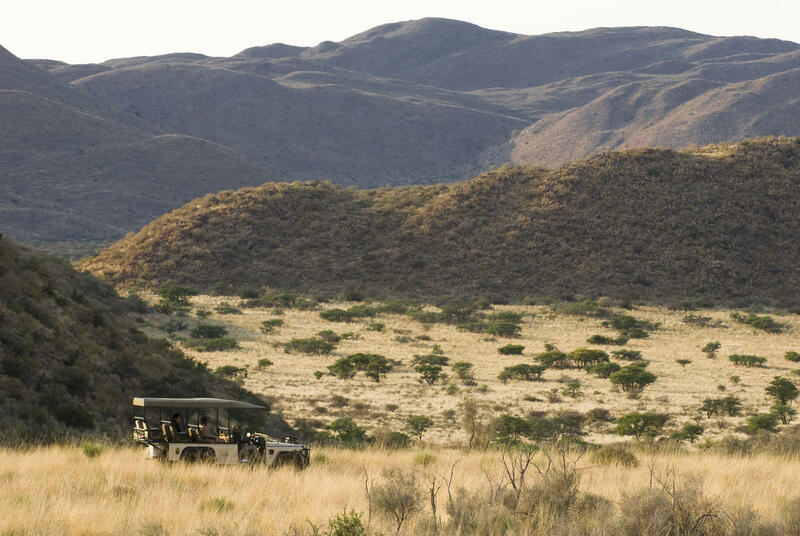 At private game reserves, there are usually three guided game drives every day. Each unique in its sightings, the first departs before sunrise, another takes place midday and the last drive is usually before sunset or after dinner, returning after nightfall. 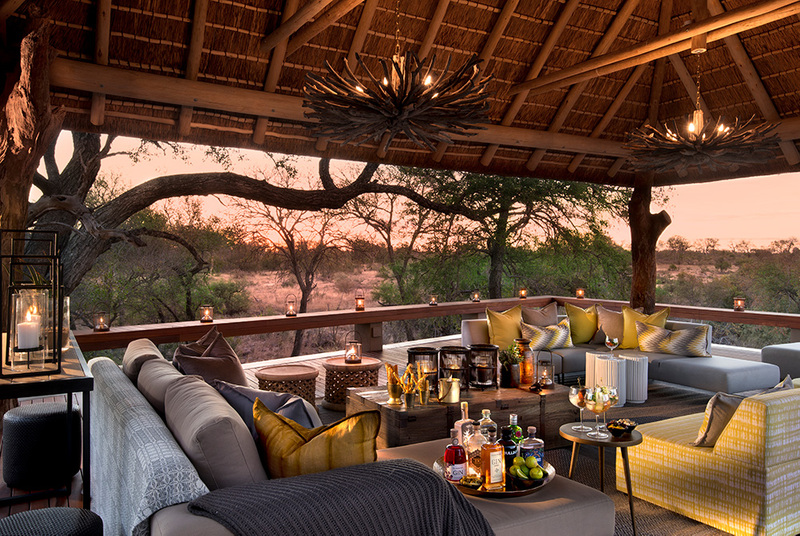 You may want to start the game drive before sundown and enjoy the last light in the bush over a glass of bubbly, cold beer, a delicious G&T or with a light picnic basket and return in time for dinner. 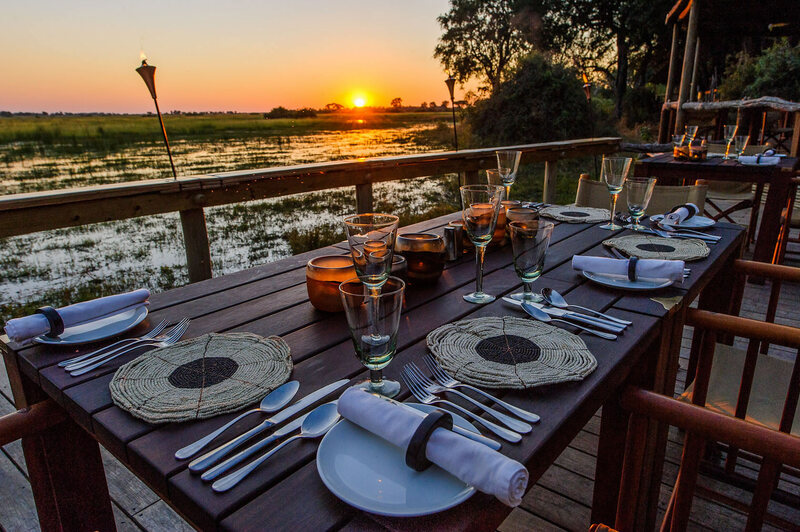 Or perhaps have an early dinner and leave after sunset to observe the nocturnal activities of Africa’s most sought-after wildlife and small animals in complete darkness. Twilight is considered the best time to track and observe nocturnal animals and in some parks and reserves, night-drives can last long into the night. 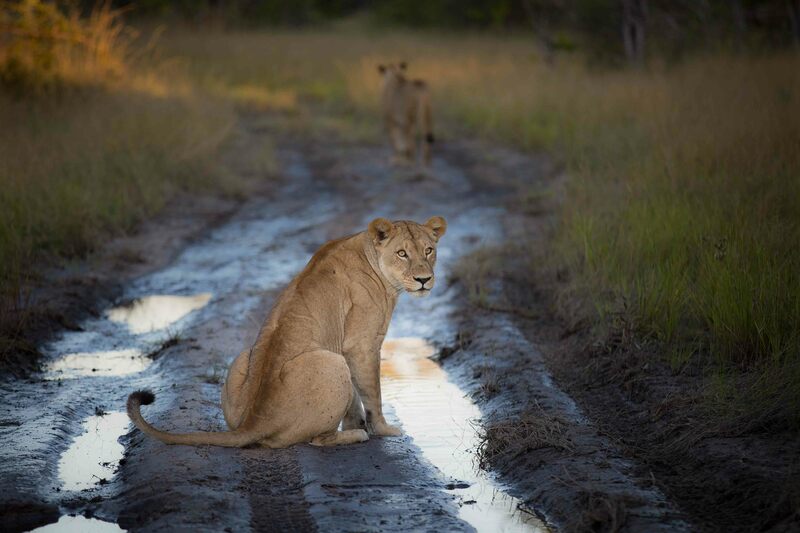 As with day game drives, you may be driving for a long time before you spot an animal, but when you do, it will be a moment you will never forget as most big predators do their hunting at night. And if you don’t have any explosive sightings, there is nothing more magical than listen to the sounds of nature in the dead of night with no distractions for miles. Don’t forget that being comfortable on your night game drive is as important as on your day drives as they can last for hours. 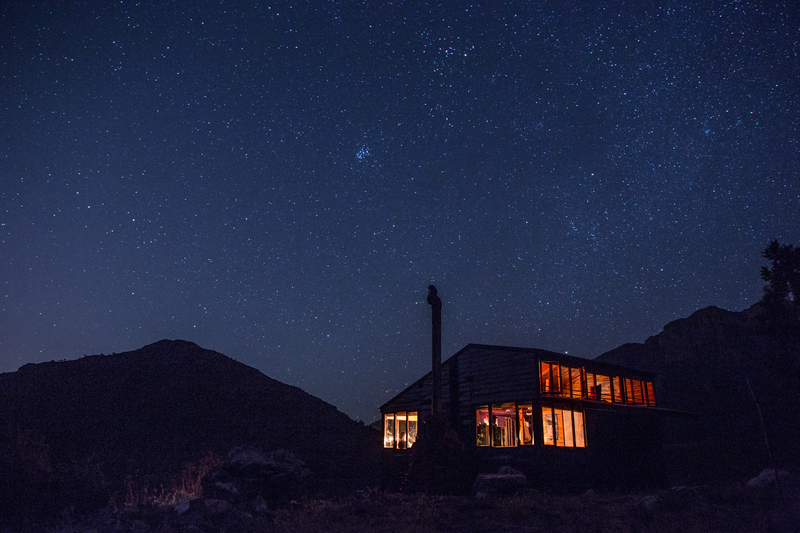 We suggest having a warm layer for the late evening, a warm hat or beanie, and a good camera with a spare pack of batteries, just in case – even though night photography is very difficult to get right. Many would expect to see the obvious game such as hippo, rhino, zebras, or even a big cat on the hunt. But keep your eyes peeled for the occasional bushbaby, chameleon, aardvark or leopard too. 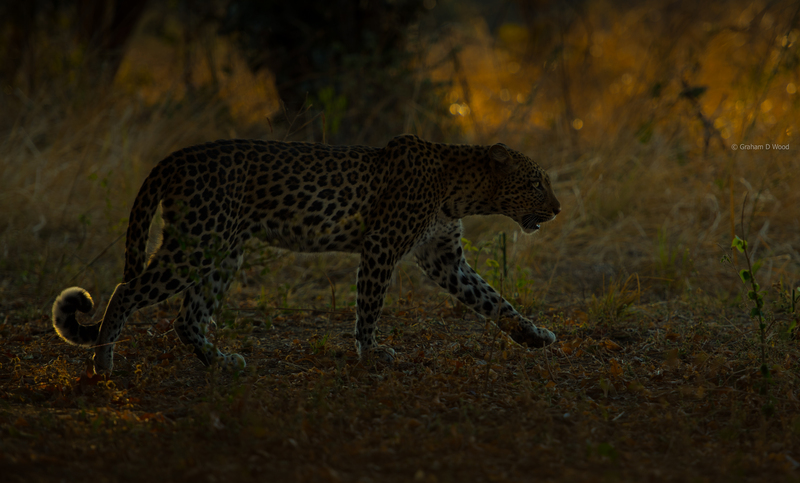 To get the best quality pictures that does justice to the breath-taking evening scenes and nocturnal sightings, make sure you bring along the necessary camera equipment and lenses and ask your guide how to overcome poor lighting. 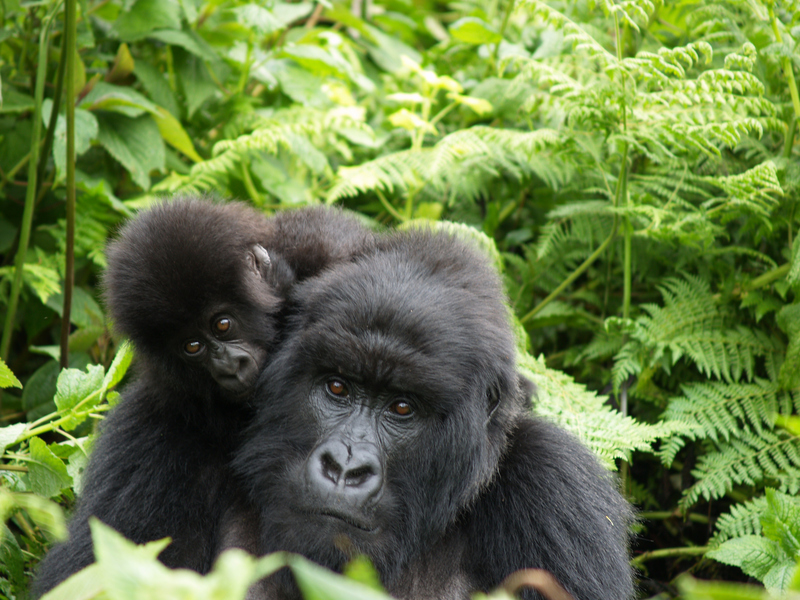 For more of the incredible African adventures that await you click here. 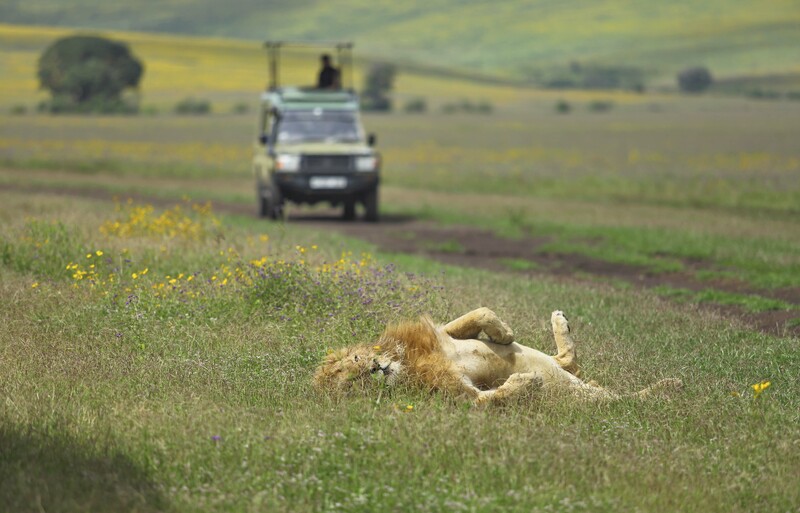 Over recent years, Kenya has become an increasingly popular travel destination – here’s why! 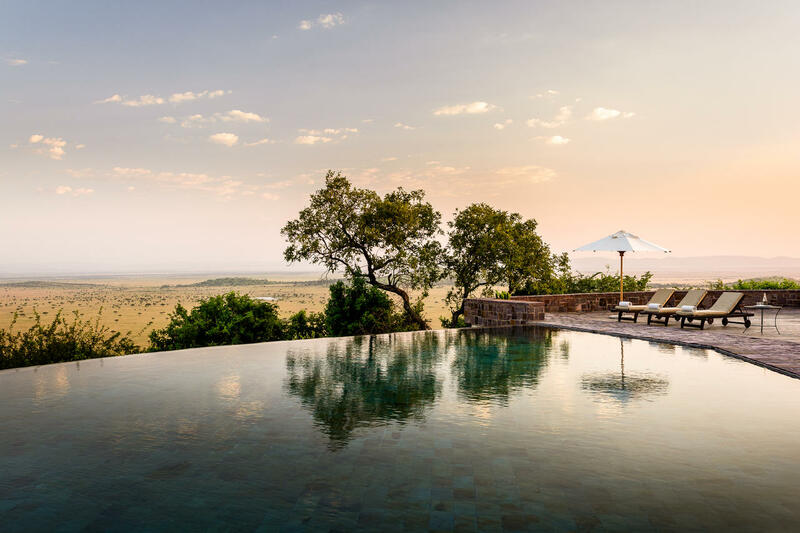 As one of the top countries in Africa for safari and the origin of safari, vacationers wander all over from Giraffe Manor to the Great Mara plains on their luxury East African adventures. 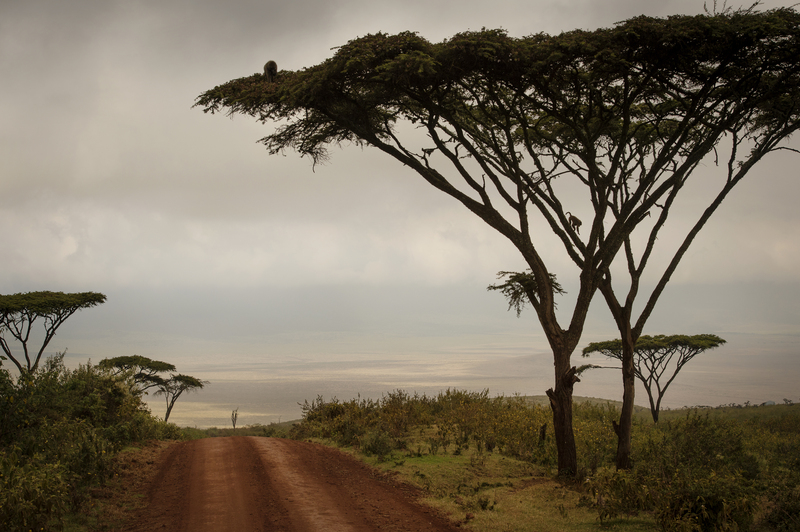 But the journey from the U.S. to Kenya has always been quite long, and often required a lengthly stopover. After nearly two years, new flight plans have finally been approved, are in use and are open for bookings. This is a paramount moment for African flying as Kenya Airways is the very first to fly non-stop from the eastern coast of Africa directly to the United States. 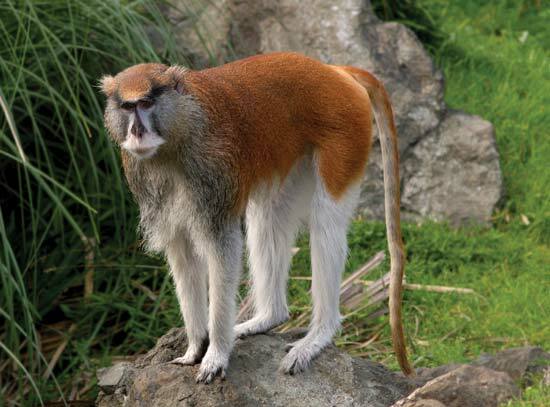 Now you don’t have to wait to see more than ten different species of mammal in one spot! With Kenya Airways’ introduction of the first long-haul flight between the U.S and Nairobi, holiday-makers will find their journey much quicker and simpler. 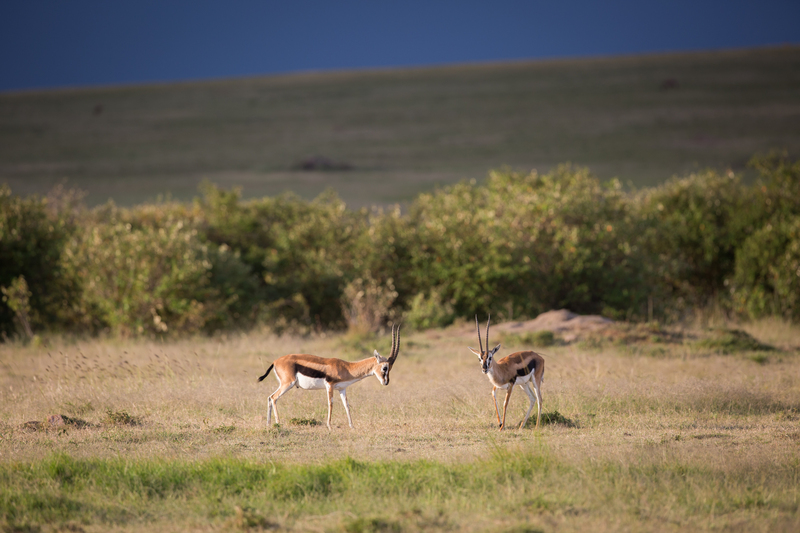 This new daily direct flight will have you photographing Thomson’s and Grant’s gazelle in no time. 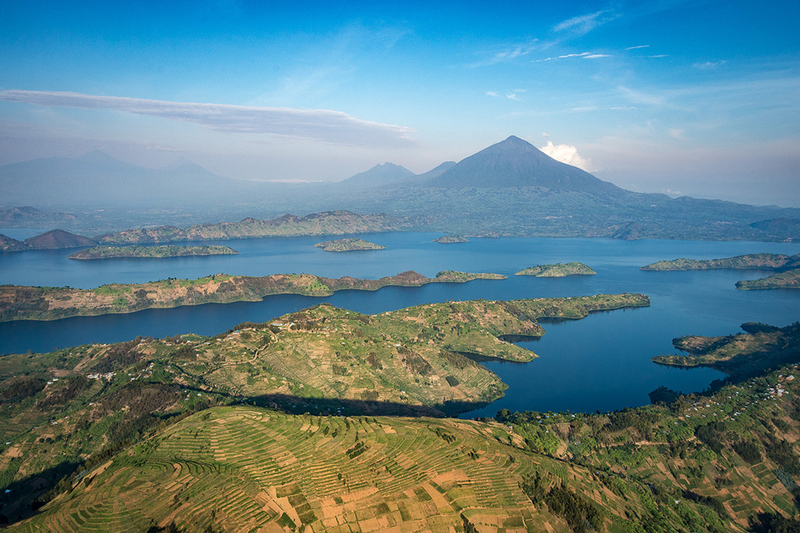 These daily flights are the fastest connection from East Africa to New York. Thanks to favourable winds, the flight from Nairobi to New York is a short 15 hours and an even shorter 14.5 hours on the westbound journey. The 7360 mile distance has never seemed this short. This new flight schedule has opened up more than 40 possible travel connections to various African destinations from the airline’s hub in Nairobi. If long flights and unnecessary layovers have kept you in two-minds – now is your chance to book your seat on that Boeing 787-8 Dreamliner. Be on of 234 passengers on their way to Jomo Kenyatta International Airport where the quintessential African panorama awaits you! 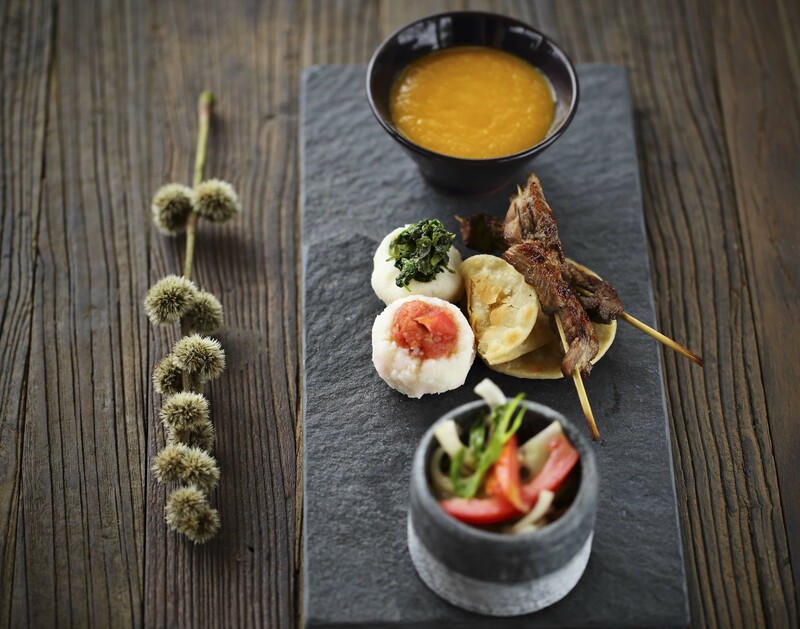 If you are heading to Giraffe Manor in Nairobi or one of the many exquisite properties in the Mara and want to know how to make the most of your experience, read more here. 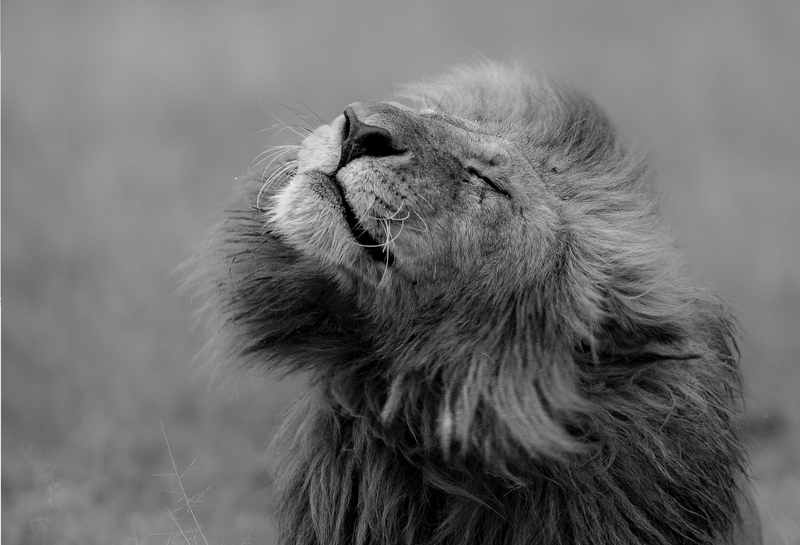 Many would agree that seeing Africa’s Big 5 and other wonderful wildlife is an opportunity of a lifetime. 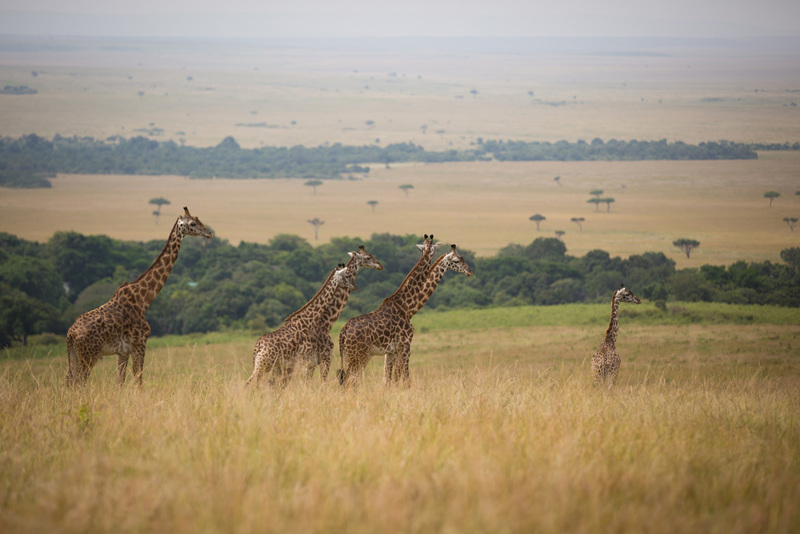 But imagine being able to tower above the herds of wildebeest or the elegant giraffes and look down on them from above. Combine the feeling of weightlessness, the sense of space and freedom, incredible panoramic views, and endless possibility. 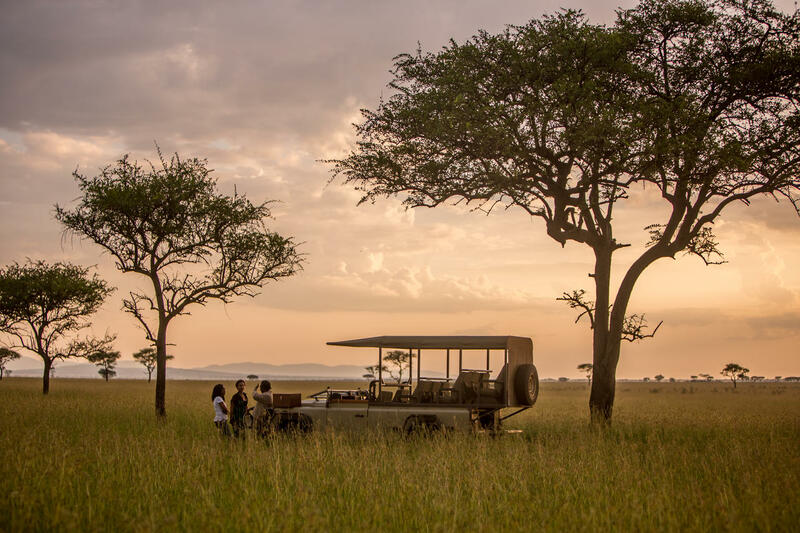 There is no better, more beautiful and overwhelming way to start or end your day than drifting over the endless plains of the Serengeti, or floating above the absolute abundance of the Masai Mara, where you will be carried over game path after game path. See a legendary sunrise or sunset you will never forget! You have an uninterrupted aerial view of the wildlife at their most active. Unimaginable scenes of the Great Migration. Our balloon safari partners are well-known and the best in the business. Every detail is thought of including your safety and ensuring a quiet drift above the land. 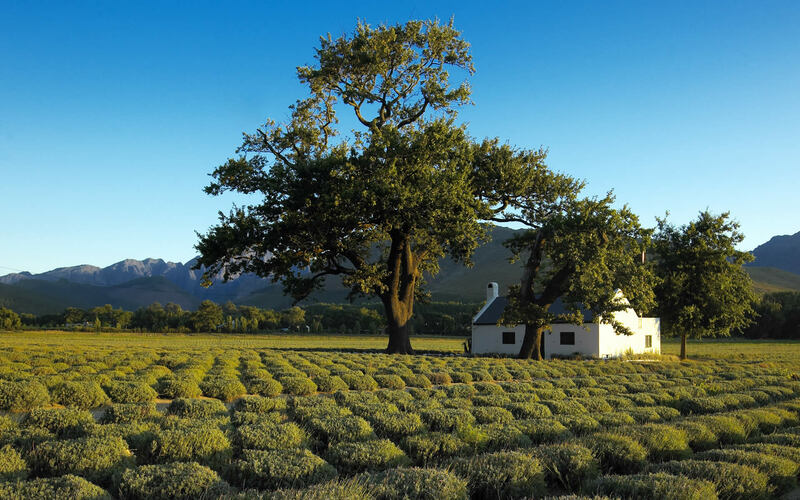 Hot air ballooning can take you where safari vehicles can’t. The bush tells a much more complete story from the sky. This crisscross maze of winding routes will lead you to herds of wildebeest, zebra, elephants, lions, and even tiny scrub hares. 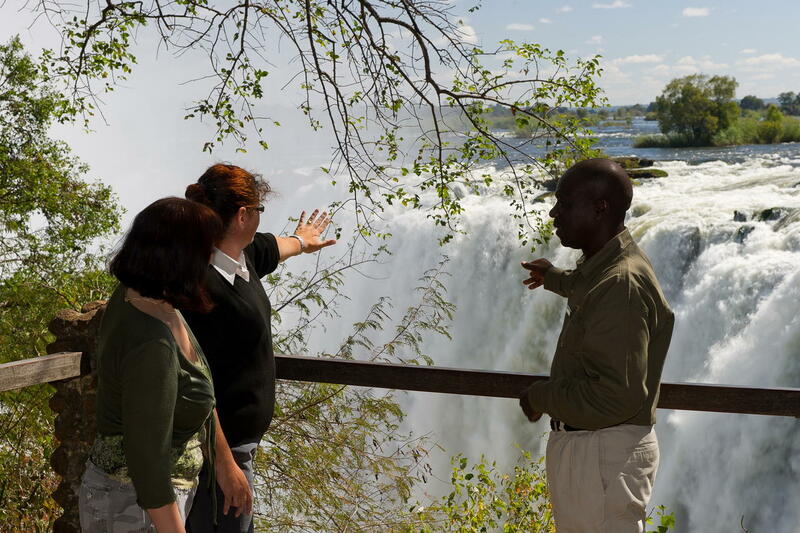 Up and down you go… dropping in to check on the hippos and the crocodiles in the rivers. 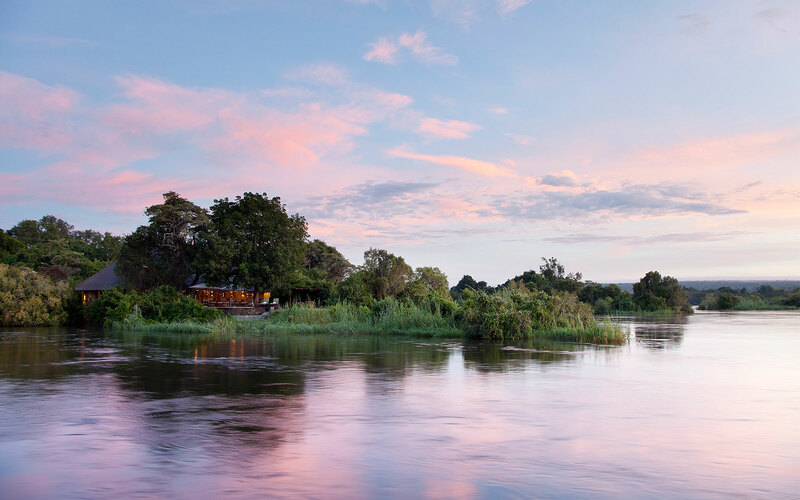 A few big, wide-mouthed, hippo yawns will welcome you, the Fish Eagle’s morning calls will greet you, and the gurgling of the rapids below will relax you. With photo opportunities aplenty, the trip always seems to go by far too quickly and you will wish that you could be up there, in paradise, forever. 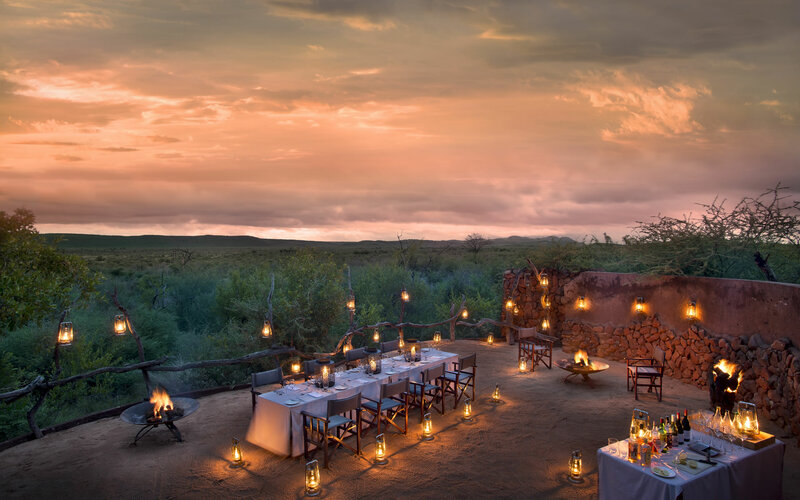 After your magic carpet ride over the exquisite African bushveld, you will be treated to a delicious 5-star Champagne Breakfast fit for a king, laid out impeccably, and set up in the middle of nowhere. Absolute bliss! Balloon Safaris are on offer in both the Serengeti and the Masai Mara so let us help you book this once-in-a-lifetime adventure today! 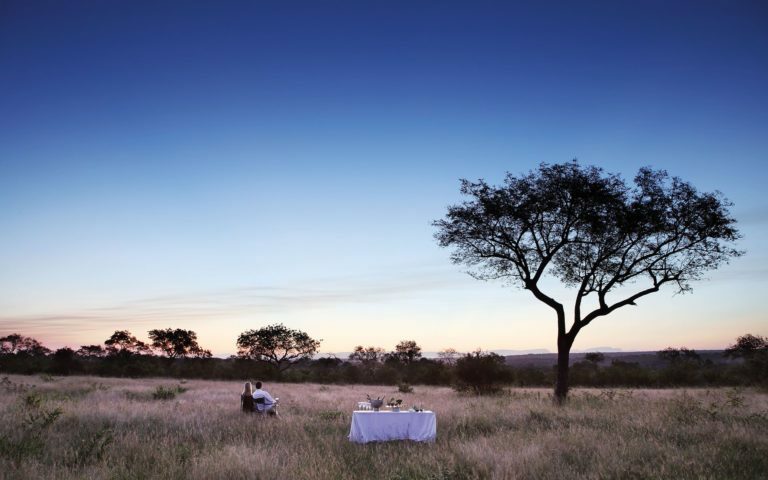 Africa is the place of rolling hills, warm sunsets, amazing culture and memorable wildlife. 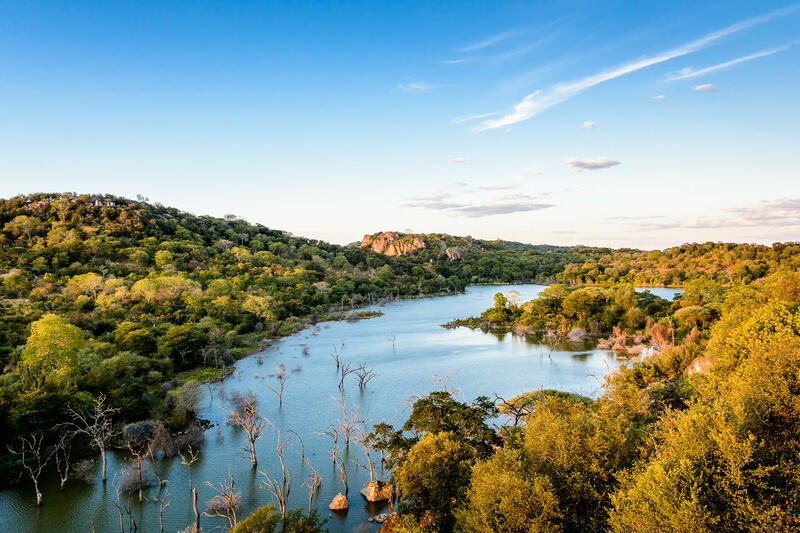 Travellers from all over the world head to Africa for a thrilling experience as they tick off the Big Five and other big game off their list. 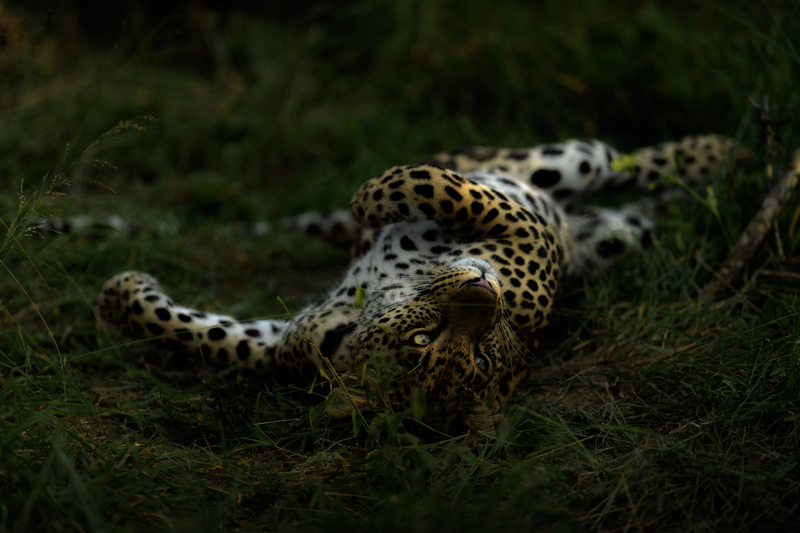 Found in diverse habitats, from mountain sides to savannah and tropical forests ecosystems, Africa’s most celebrated and fascinating animals are waiting for you to find them. Our first of the lesser seen, peculiar animals is the aardvark. 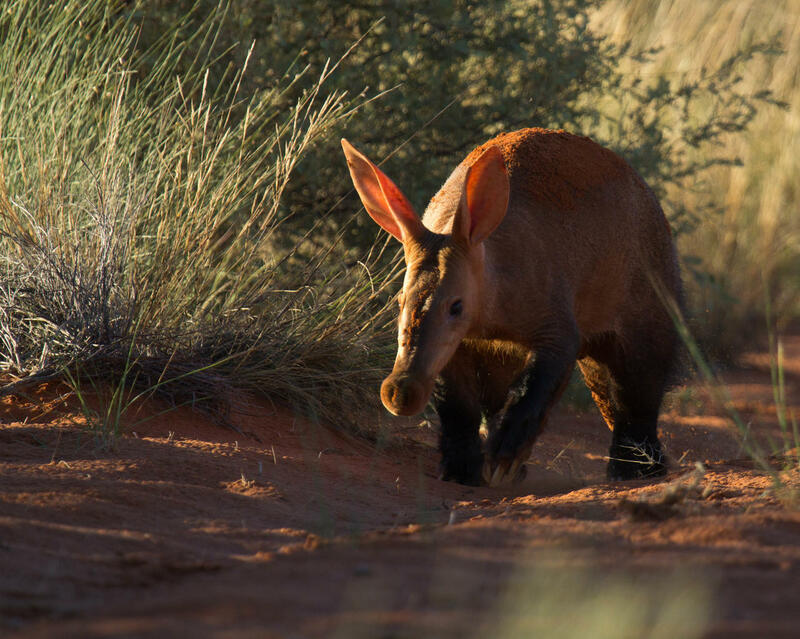 Roaming the bush with its pale skin, a long snout resembling a pig’s and long bunny ears, there’s no chance you will mistake it. These nocturnal creatures are impressive diggers and can dig up to six metres deep in minutes. The best place to try and spot these little creatures with sturdy legs and long claws is the Addo Elephant National Park or the Kalahari. 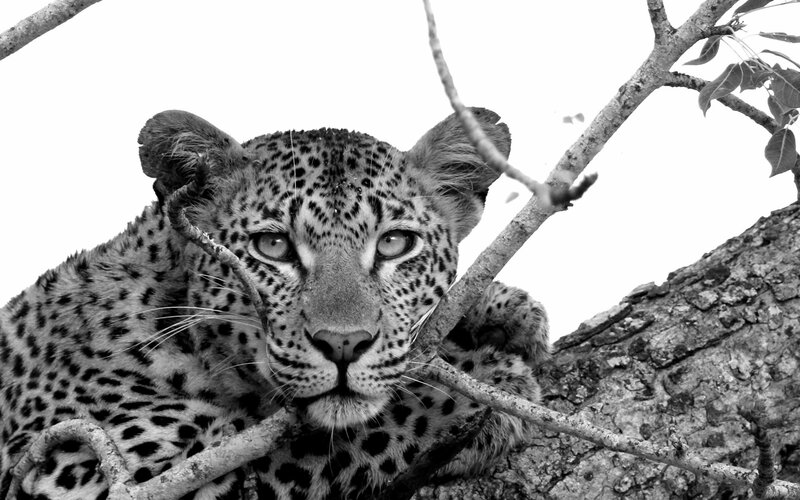 Leopards are very secretive creatures and keep a low profile high up in trees or amongst the tall grass or bush. These big cats are the strongest feline climbers and can kill prey even larger than themselves. Because these creatures are always lurking until they can pounce on their prey, spotting them in the wild is a rare treat. This one is for the wildlife fanatics! 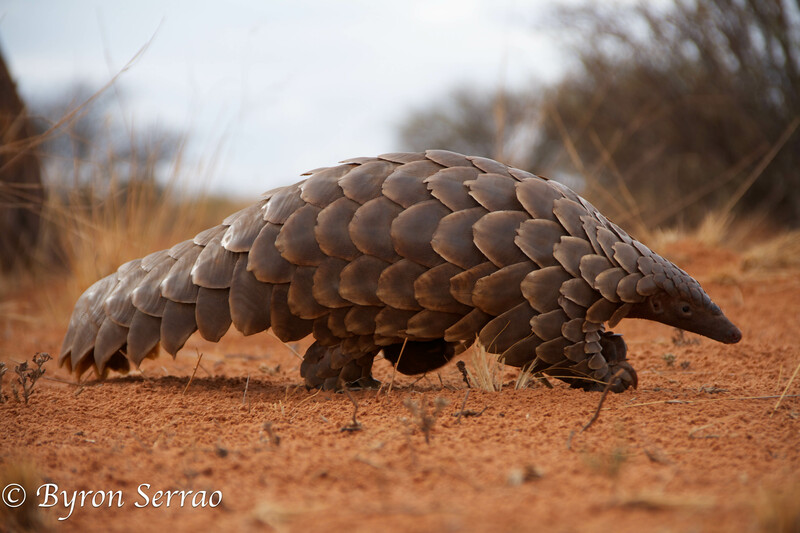 With its unmistakeable bronze armour, the pangolin is extremely distinctive with its unique scales and unassailable attitude. Despite this invincible outlook, all eight species are endangered – being the most trafficked animal on earth. They have a really long and sticky tongue that’s almost 40cm long. 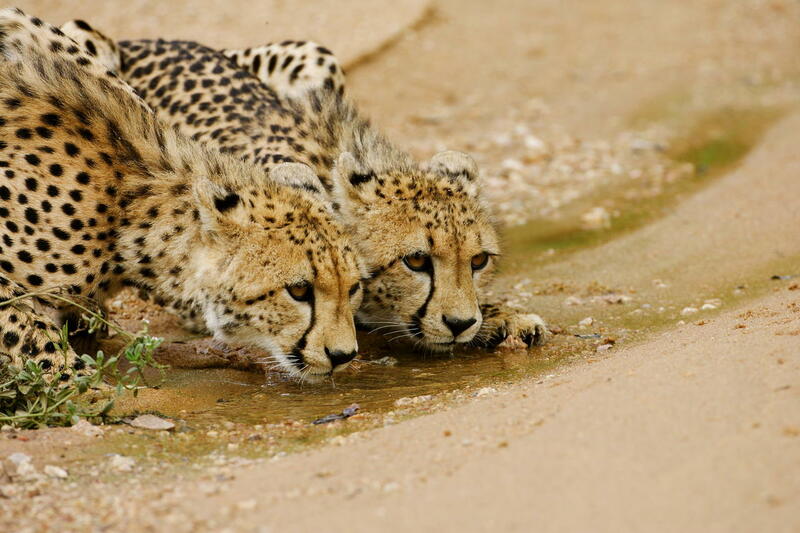 Try spotting them in the Kgalagadi Transfrontier Park. These majestic and graceful creatures have been hunted for their meat and hides, and in many cultures, the horns of the oryx are used as tokens or charms. For your next wildlife bucket-list, why not change it up and try spotting these amazing creatures that make you work a little harder to find them. 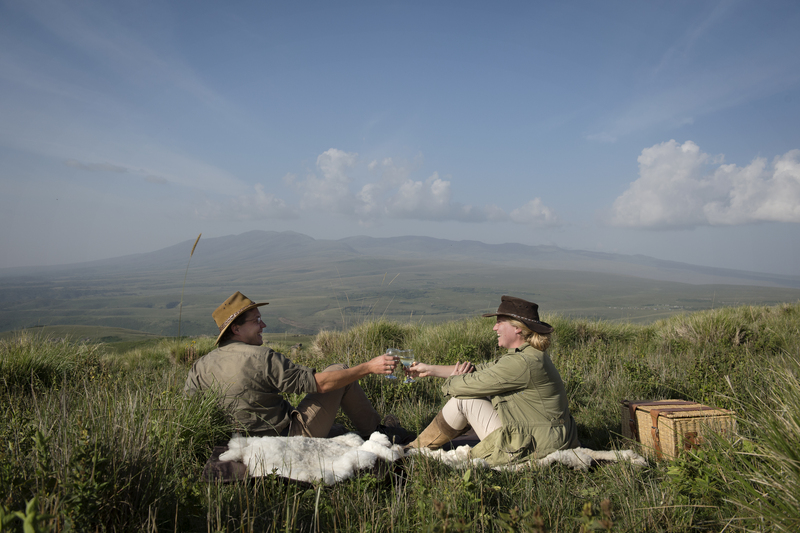 Winner of The Luxury Safari Co Award for the most unique Ngorongoro property, The Highlands redefines the Masai experience. 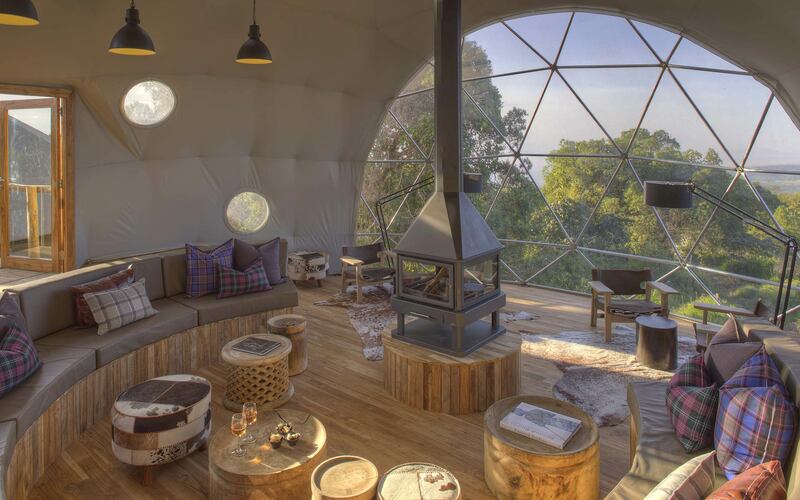 The spectacularly designed moon domes that resemble tiny Richat structures from above rests within the lush mountain forest just next to the Olmoti volcano, 45 minutes from the Ngorongoro Crater. 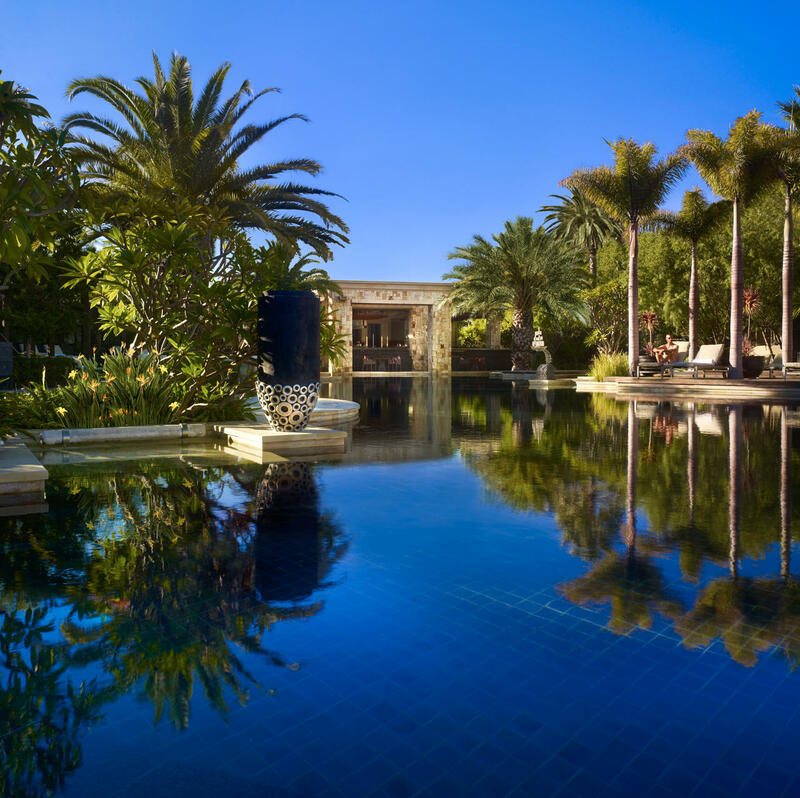 Here, you will find the perfect balance between the great outdoors and an exclusive luxury escape. 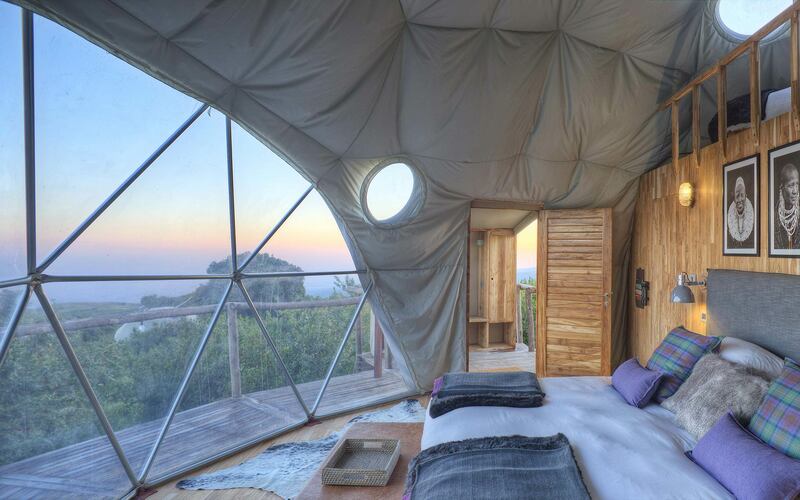 These cutting-edge dome-suites resemble a Mazarin cut diamond. 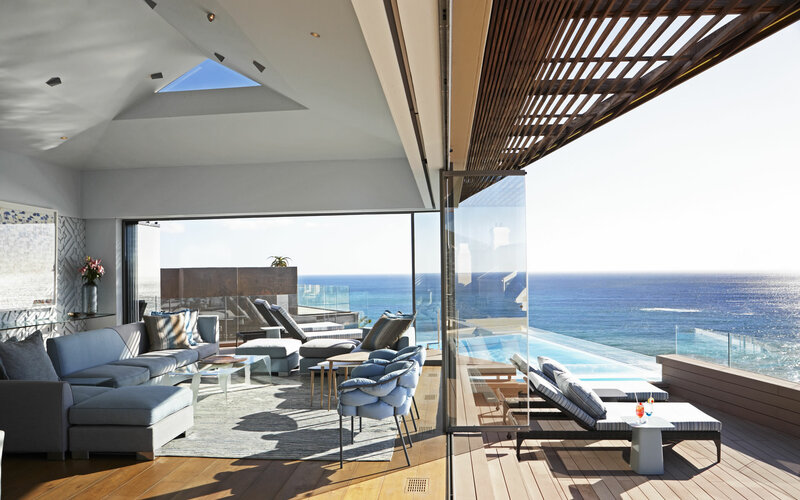 With sharp edges and a crystal clear panoramic view laid out before you, this open design with an intimate setting and wood-burning fire places will leave you feeling captivated. 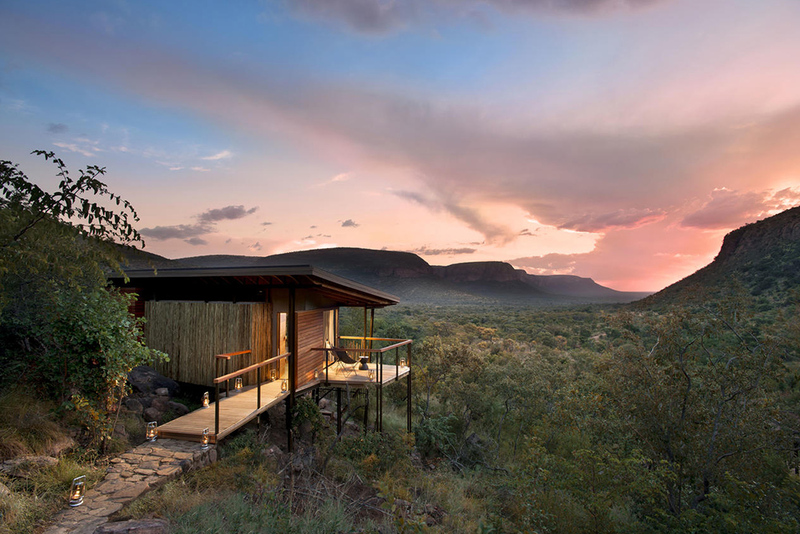 This futuristic, yet traditional accommodation is both contemporary-chic and true to its African roots. The striking design of the suites is complemented with an authentic atmosphere. 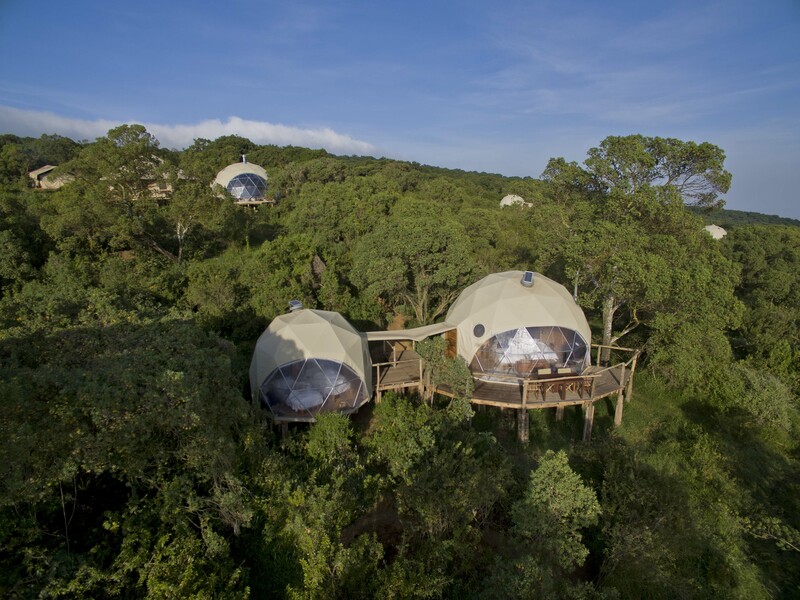 With only eight canvas and glass domed suites, the architect has gracefully mirrored the Masai bomas that mark the landscape. 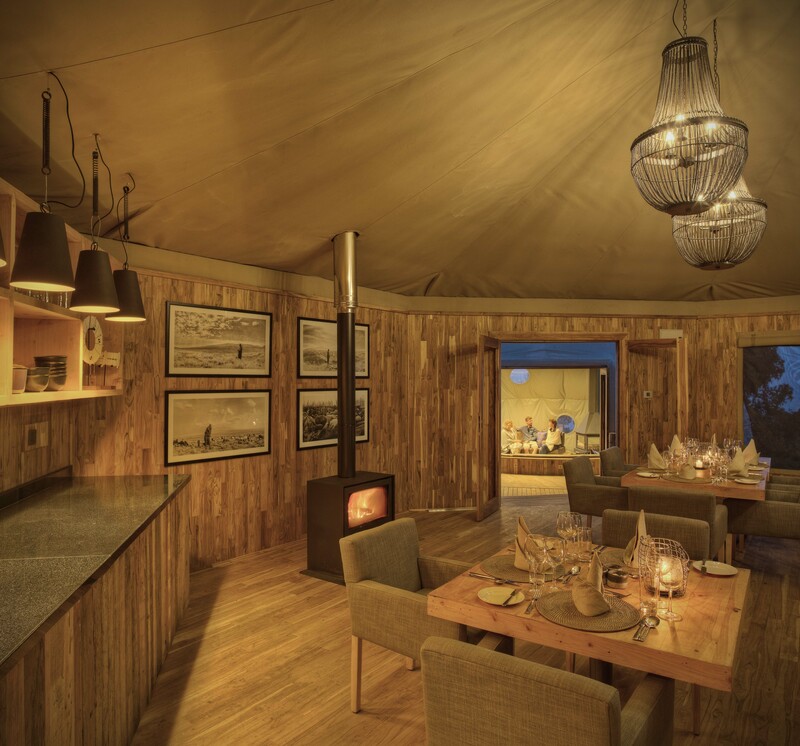 Guests can expect warm and contemporary interiors that offer the perfect atmosphere to unwind after a successful day of game viewing. 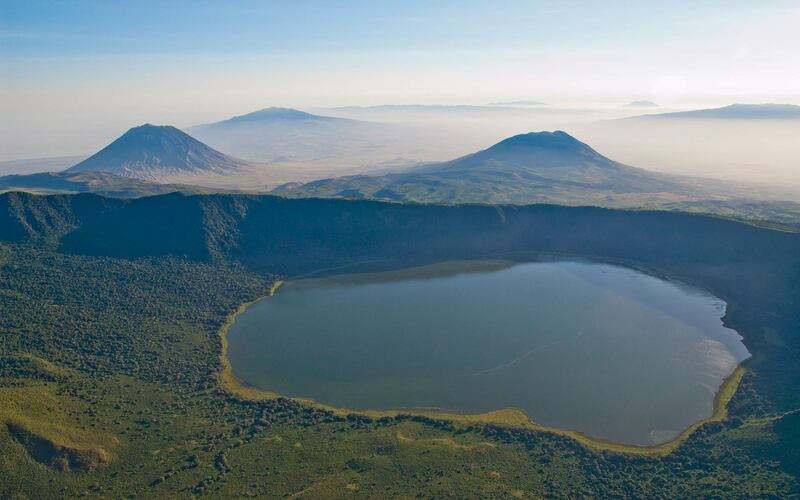 To top-off the jaw-dropping suites is a beautiful Ngorongoro Crater safari. The highland is home to the leopard, buffalo and elephant among others. 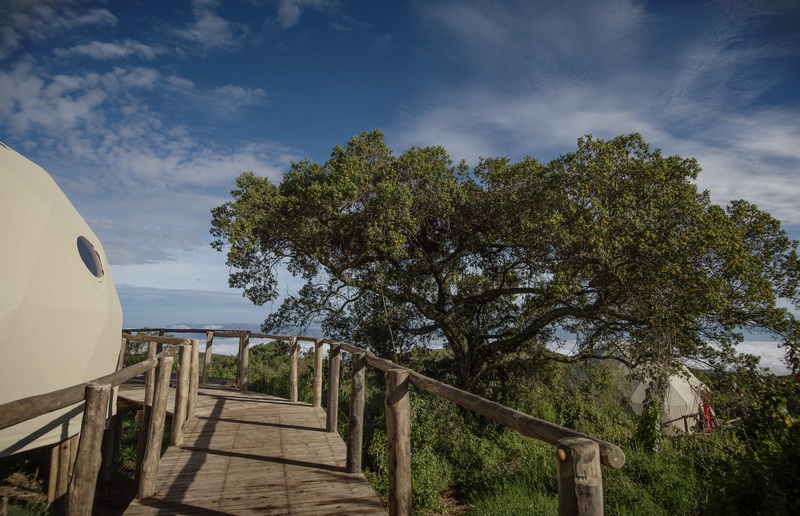 Walk in the footsteps of the Masai people on ancient trails to the top of the Olmoti crater and experience true East African culture. 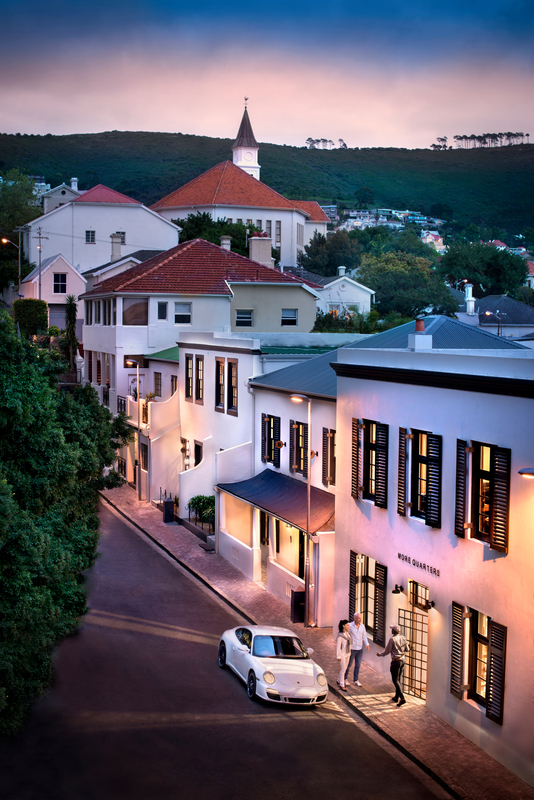 For more on this exquisite property – click here. 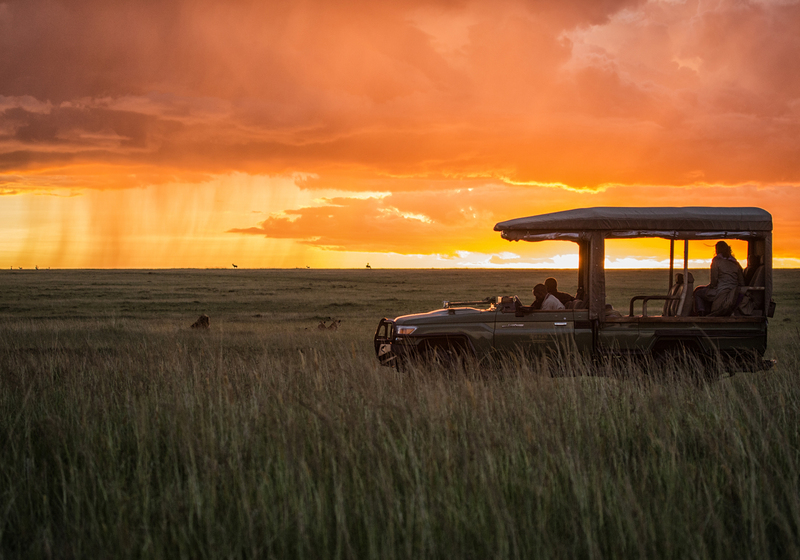 As you may already know, planning a safari adventure isn’t without its complications. It’s difficult to know what to expect and there are a number of things that you need to organise in order for your trip to be a success. 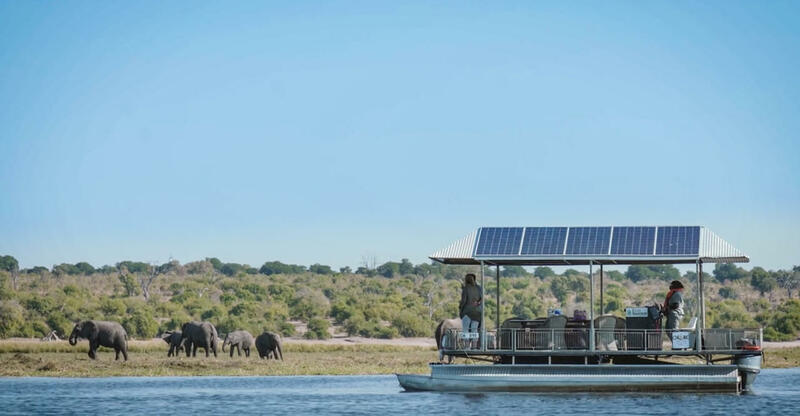 Because planning a safari can be a daunting task, we have compiled a list of the top ten things that you should consider while you are in the planning stages of your African adventure. 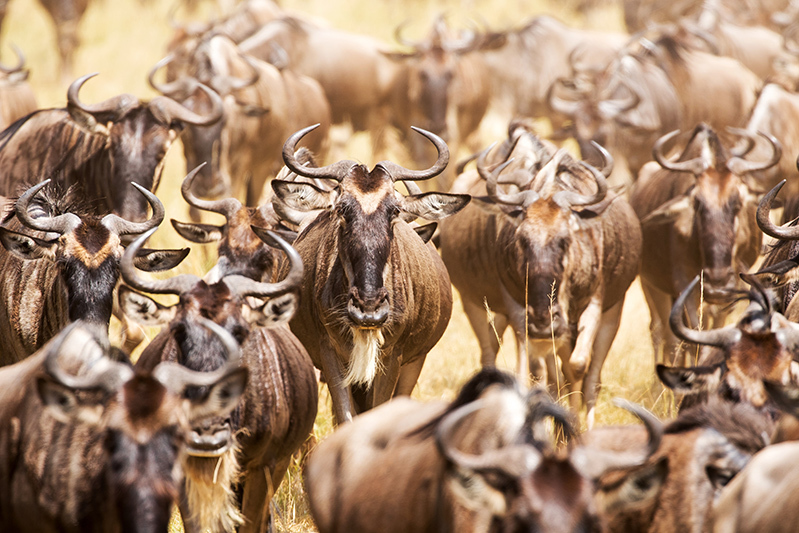 Perhaps the most important thing to keep in mind is that there is a huge demand for safaris. 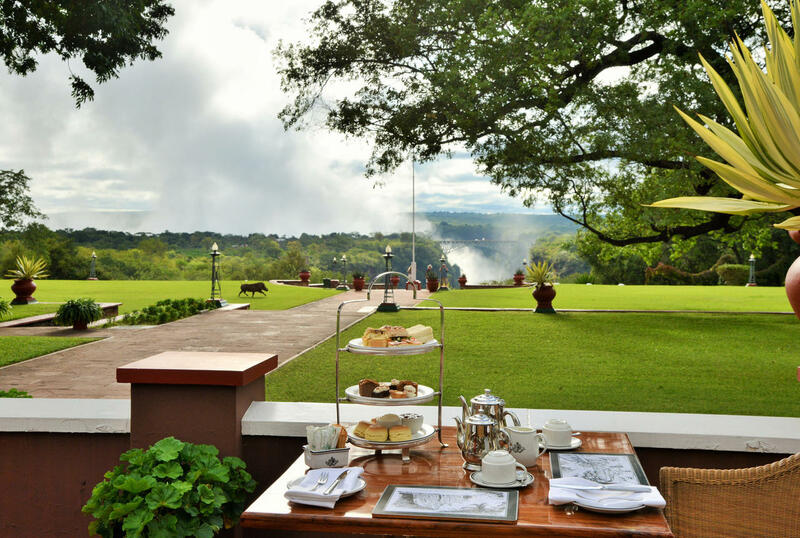 Depending on where you are planning to go on safari, you will need to book your stay in advance. Some camps require you to book at least six months in advance, whereas others might require you to even book a whole year in advance. So, if your dates aren’t flexible, you need to keep this in mind. Part of planning your trip is doing your research. It is important to do your own research so that you know what you can expect. Luckily, there is a vast amount of information on the internet for you to look at. 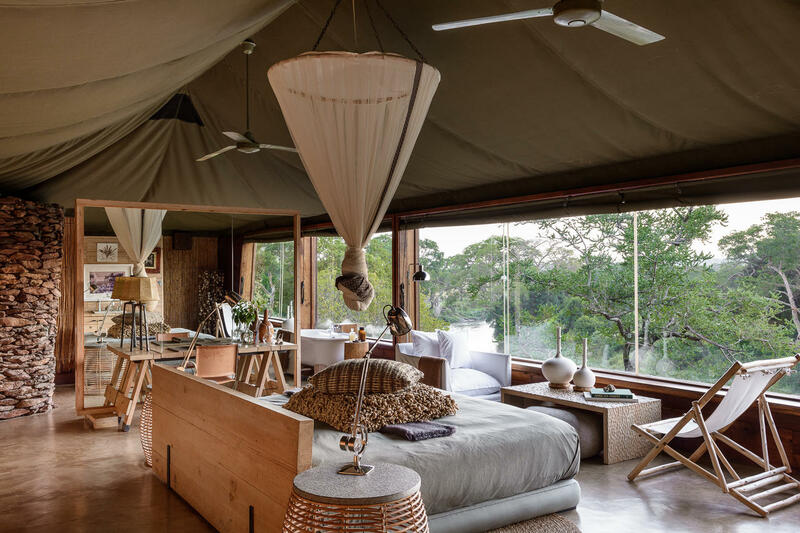 It can be daunting, and you may have more questions than answers after doing your research, but at least you’ll know what you want to ask your safari specialist. This is a really great time to visit the parks because there are fewer vehicles and visitors and the prices are often much less. Because there are fewer vehicles, you will also be able to spot wildlife more easily – you might even have the whole park all to yourself. 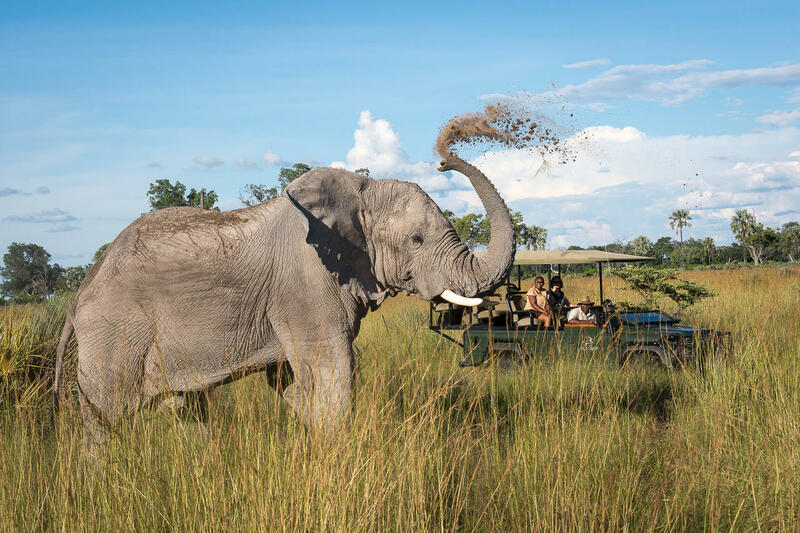 Seeing the Big Five is never guaranteed, but that’s part of the appeal of going on a safari. Who wants a boring and predictable trip anyway? 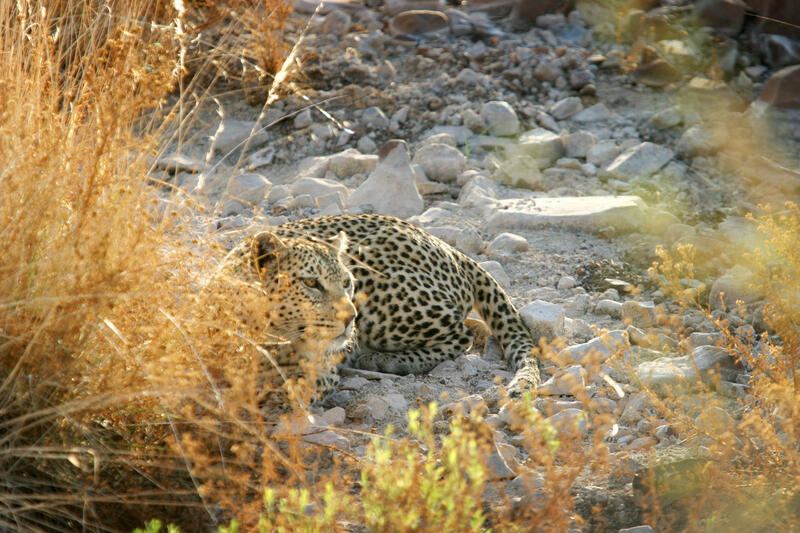 However, what is guaranteed is that you will definitely see wildlife wherever you choose to go in Africa. So don’t get too hung up about what you see or don’t see while you’re in Africa. You’ll have a splendid time sighting all kinds of mammals, reptiles and amphibians. In most cases, the more you pay, the better your experience. 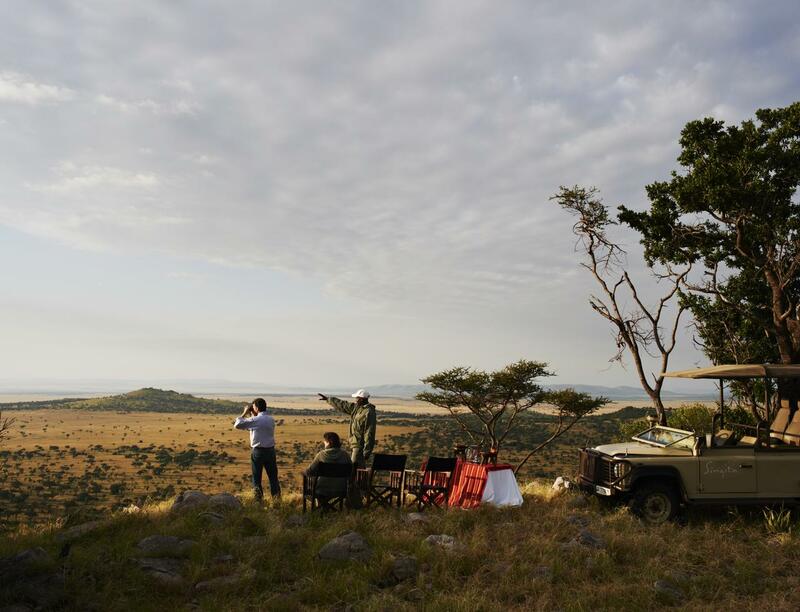 Usually the more expensive places have better game viewing or better guides, and they certainly have better service. If you’re unsure of a place to choose, you can always contact us for advice and we’ll recommend the best place to suit your needs. This is very important! Nothing will rescind the joy of your safari more than contracting malaria. 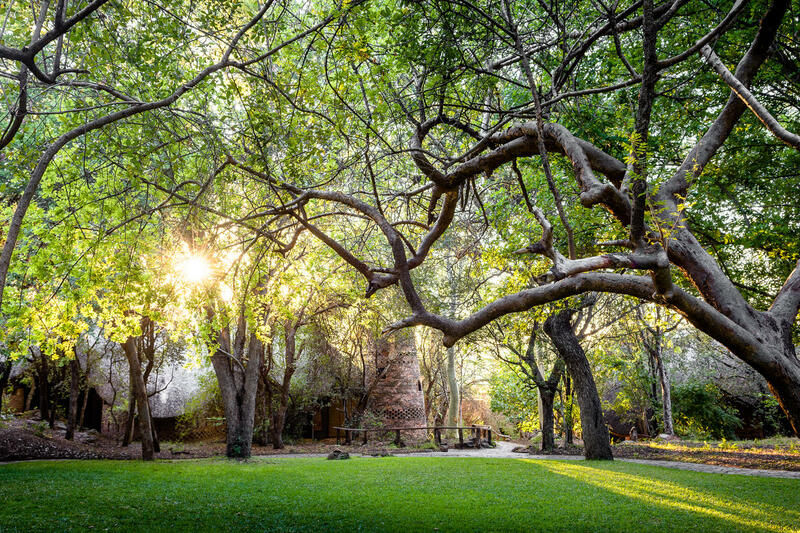 Most of the parks in Africa are malaria areas, with the exception of South Africa. Visit a travel clinic for advice about the best malaria medication for you, and ensure that you have enough time to start your medication a few weeks before your trip to allow time for it to work. 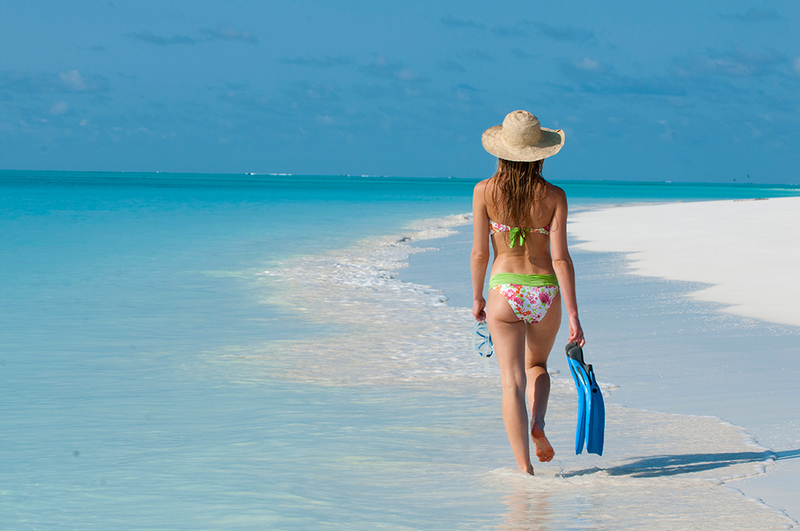 Safaris can be quite tiring so it’s always a good idea to plan a little beach trip for while you’re in Africa. 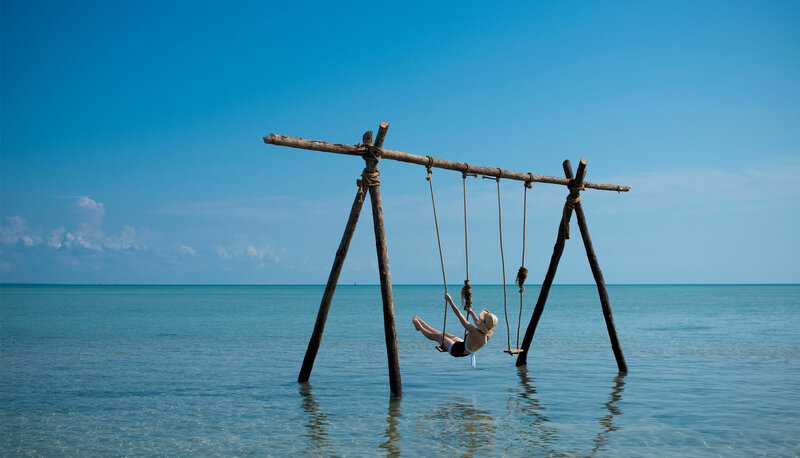 There’s no better way to unwind after a spectacular safari than on some of the best beaches in the world, so it’s definitely worth considering. 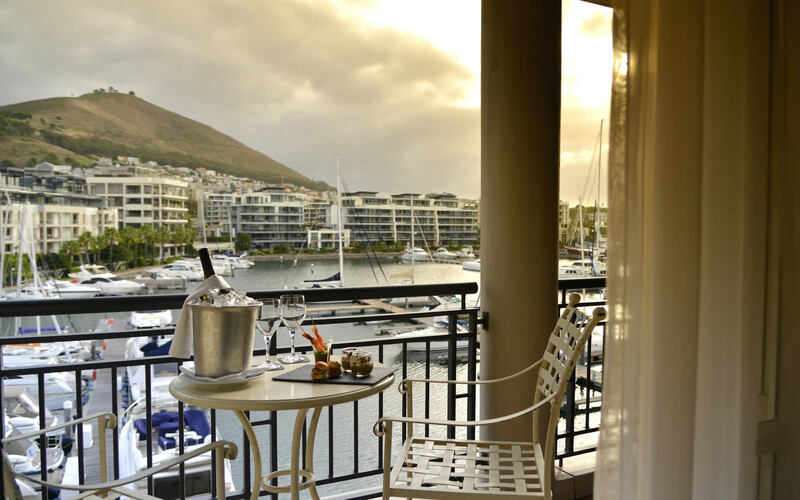 Visiting the seaside also extends your African holiday a bit, and it isn’t excessively expensive. This is something that we can’t stress enough! 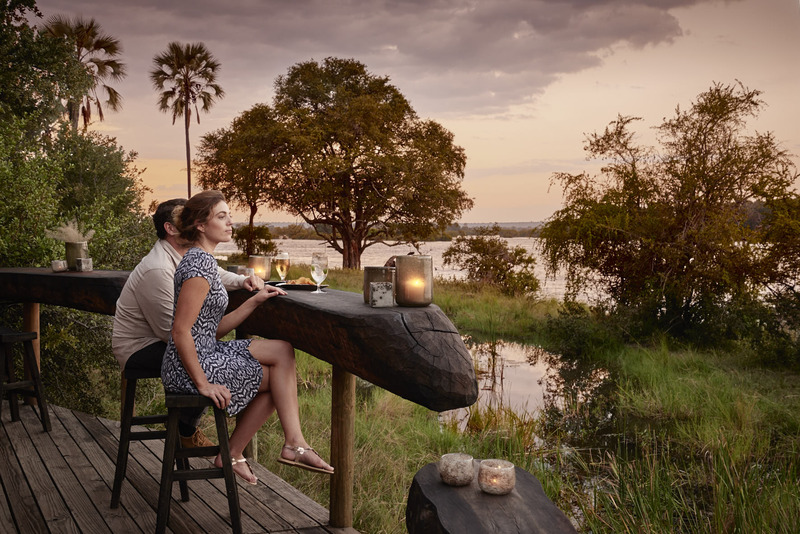 Safaris soon lose their appeal when you start to feel tired, so we like to suggest that the best amount of time to spend on safari is three to seven days. 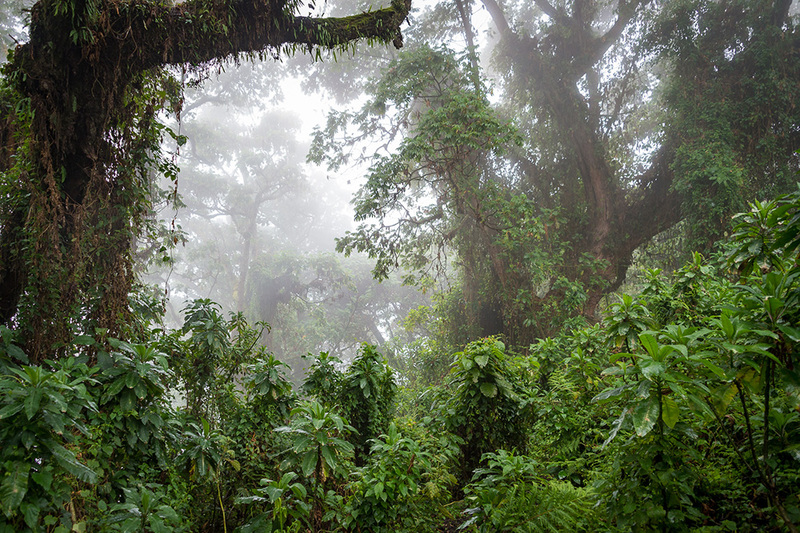 Remember, time slows down in the bush, so although three to seven days may seem too short, we can guarantee that it isn’t. This is one of the best tips we can give our clients. Long flights can be so exhausting. It’s a good idea to spend your first night in a nice hotel to recover from any jetlag or exhaustion that you may have from travelling. 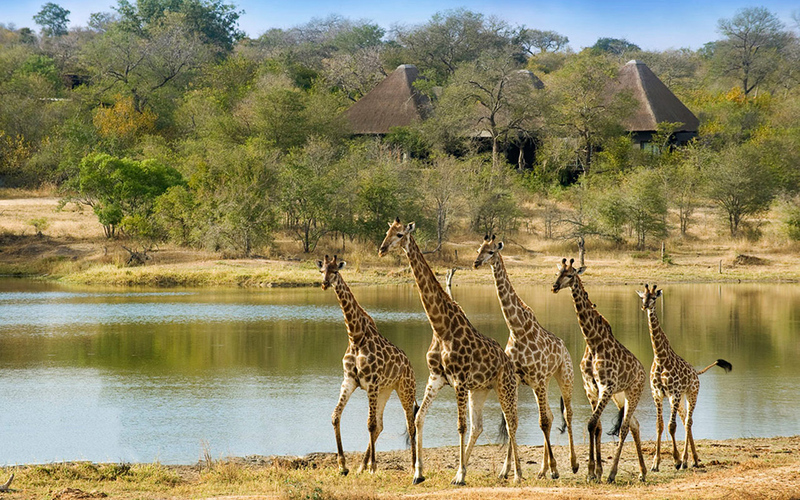 After all, you need to be wide awake to spot all of those animals on safari! The right safari specialist is key. Contact us to answer any of your questions, and we will guide you on when to go, where to go and what to do on your next adventure. In fact we can plan every step for you!